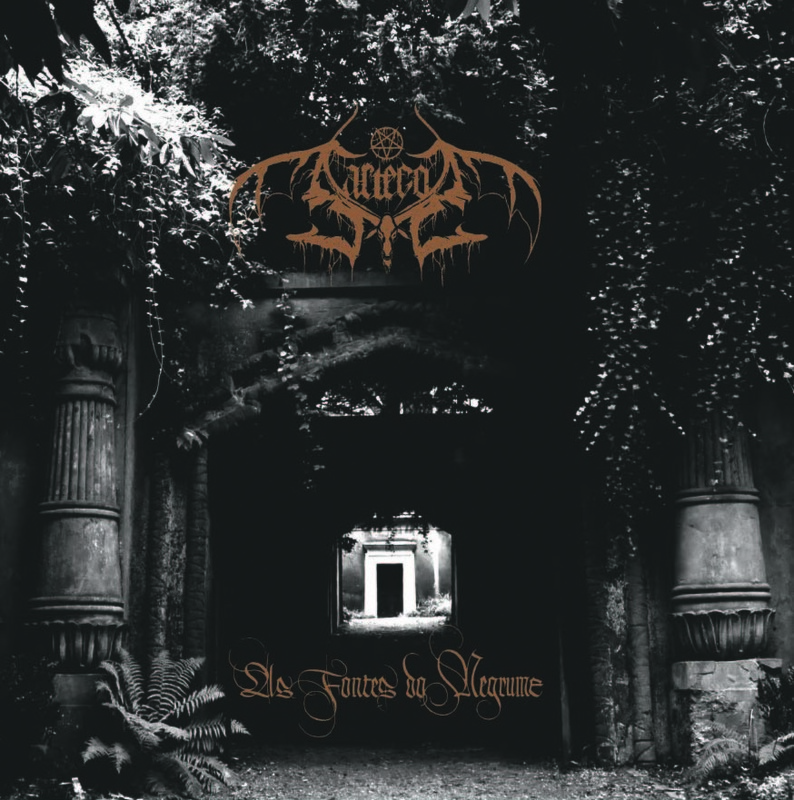 "Innerstanding" is the debut full-length album by a mysterious atmospheric black metal project from Cyprus: TOME OF THE UNREPLENISHED. 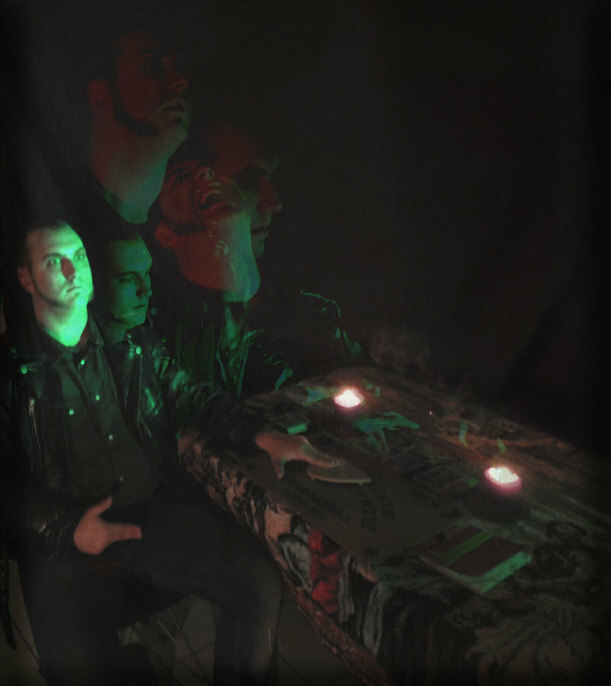 Sole member Hermes used to play bass guitar with the satanic blackmetallers Necrosadist, but with TOME OF THE UNREPLENISHED he explores the hidden regions of the soul, abandoning himself and the listener to an emotional rollercoaster of transcendental, cosmic beauty. 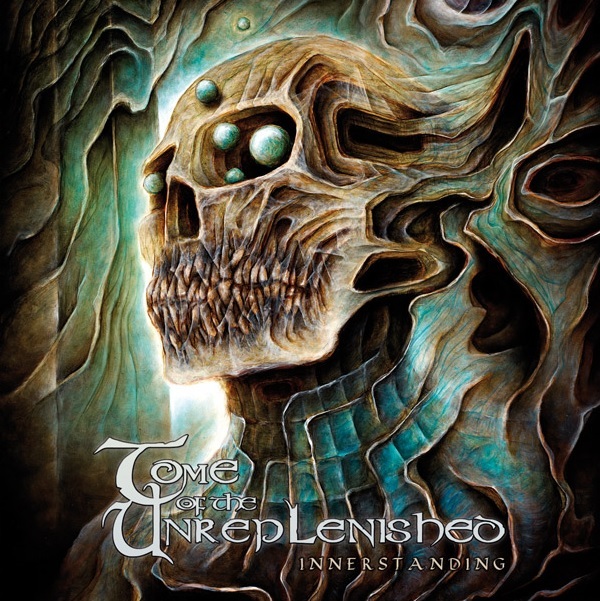 In Hermes' own words, TOME OF THE UNREPLENISHED is "An artistic musical project created as a source of self expression and visualization, combined with a soothing yet dismal form of language and execution. The representation of conceptual philosophy, progression, and elevation through sound." 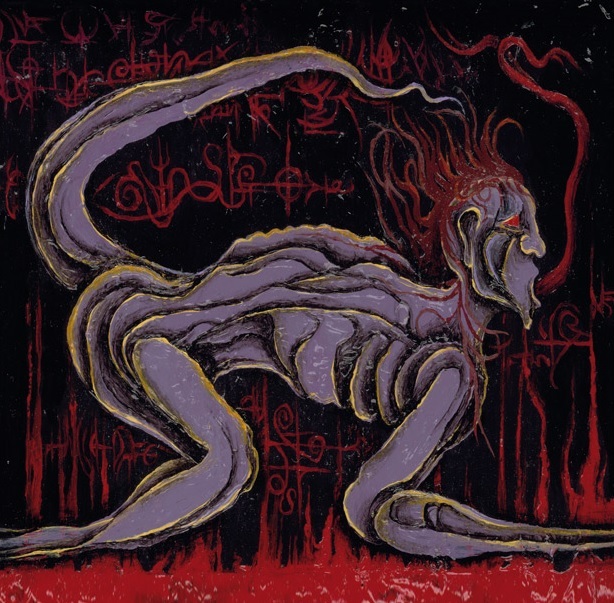 Mixed by A. Dictator (Necrosadist, Dictator, Lvcifyre) and graced by an amazing cover painting by Brian Smith, "Innerstanding" will be available on CD, with a full color 8-page booklet complete with lyrics. Out March 30th, 2015. A full preview-song will be available soon, in the meantime here's a promo video. Canadian rockers THE ORDER OF THE SOLAR TEMPLE will return this year with a new album, as well as with a split CD with JOHN GALLOW, a conceptual release inspired by cult horror movies and characters! THE ORDER OF THE SOLAR TEMPLE have chosen the frightening masterpiece "Alucarda, The Daughter Of Darkness", a 1978 Mexican horror film directed by Juan López Moctezuma. Here's a rough-mix excerpt from one of the tracks, "Justine Pt. II - For In Death, Great Beauty Lies". In other news, on March 13th the band will aslo embark on their first series of dastardly sermons across North America's west coast with their friends SPELL on the road with them! Fall under the sorcery and join in their mad dance! Chilean death metal masters NAR MATTARU have completed works on their long awaited sophomore full-length, "Ancient Atomic Warfare"! The album will be available this Spring on both CD (I, Voidhanger Records) and vinyl (Blood Harvest Records), with cover art by Sergio Gonzales. Below, the first preview-track off the album, "Declaration Of Supremacy". We're pleased to offer you "Hunter of the Celestial Sea", the first extract off MIDNIGHT ODYSSEY's forthcoming double-album "Shards Of Silver Fade", to be released next Spring! On these notes we salute the new year and we thank all those who supported I, Voidhanger Records during 2014, all our bands, and all the graphic artists we worked with. If 2014 has been great, 2015 will be amazing, with the return of Midnight Odyssey, Howls Of Ebb, Goatcraft, Mare Cognitum, Ysengrin, Inconcessus Lux Lucis, Nar Mattaru, John Gallo, The Order Of The Solar Temple, Bloodway, Sartegos, Ævangelist, Serpent Ascending... and many others, including some new bands that will be announced soon. MARE COGNITUM's "Phobos Monolith" CD is temporarily sold out from our mailorder and Bandcamp store. We sent a new supply out to our distributors. But fear not: the CD will be available again in a month or so! MARE COGNITUM's "Phobos Monolith", INCONCESSUS LUX LUCIS' "Crux Lupus Corona" and TONGUES' "Thelésis Ignis" are finally out! 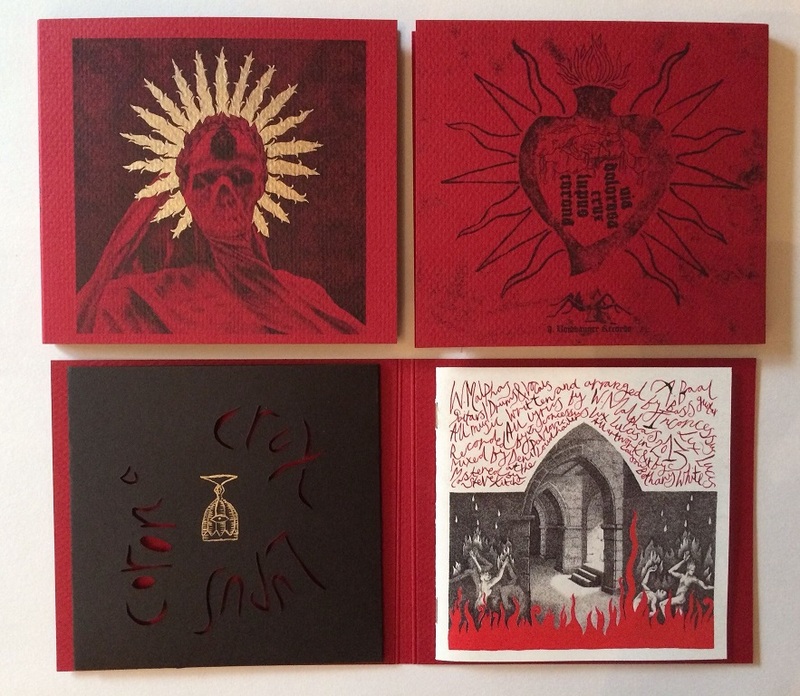 The INCONCESSUS LUX LUCIS' "Crux Lupus Corona" EP is also available as a ultra-limited 4-panel digipack in red and gold colors, hand-crafted by cover artist Bethany White. It comes with a 12-page booklet glued inside, and CD is housed in a die-cut pocket. Only 16 pieces exist, few of which reserved to band members, label and artist. 10 copies available for sale, 1 x customer. UPDATE: the Special Version is sold out! Thanks to all that placed an order. Last but not least, the Store has been updated with lots of titles from Bindrune, Daemon Worship, Nomos Dei, Death Knell, Those Opposed and other fine underground metal labels. Check it out. CDs will be in our hands a couple weeks before the official release date. Pre-orders and digital sales will start early October. Within a bog of black and deathly fog hides a mysterious and incredibly talented Danish band which is now part of the I, Voidhanger Records' roster: TONGUES. 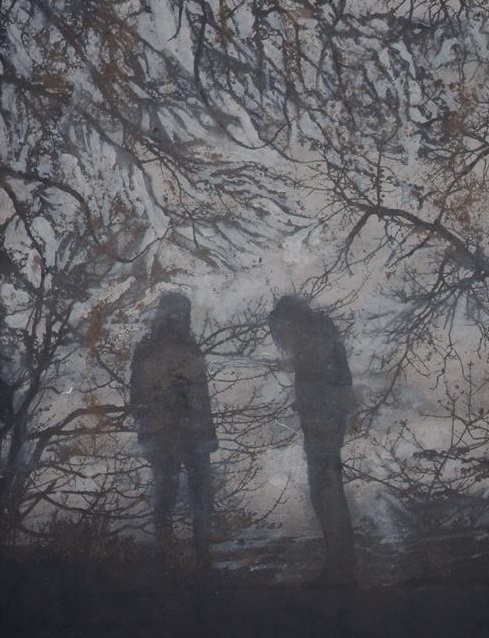 A duo comprised of Thorbjørn (guitar, vocals, bass and organ) and Qvortrup (drums, vocals, lyrics), TONGUES have reaped a portentous 35-minute long debut EP titled “Thelésis Ignis”. This is a rumbling, ferocious, and ill-omened musical journey that alternates bursts of violence with meditative grooves, dissonant melodies and wretched atmospheres all within the auspice of a cohesive, apocalyptic and mystical dark aura. In the band's own words, "TONGUES is devoted to the exploration of mind and soul, and how they relate to the flesh. Our music is as heavy as the earthbound flesh; the lyrics and themes constitute the soul that yearns for some kind of redemption, eternally lost in the cloud of unknowing. The nature of the synthesis between soul and body is drenched in obscurity, which is why - by speaking in tongues - a path may be eventually revealed, providing salvation for that fallen race we call Humanity. Our debut EP, 'Thelésis Ignis' is the first chapter of this doomed spiritual journey." "Thelésis Ignis" will come in October as a jewelcase CD with a 16-page full colour booklet and cover art by Antonius Lovmand and N.
MIDNIGHT ODYSSEY ANNOUNCE THEIR NEW ALBUM! We're happy to report that Dis Pater has almost completed works on the new MIDNIGHT ODYSSEY's double album, "Shards Of Silver Fade" scheduled for a 2015 release! 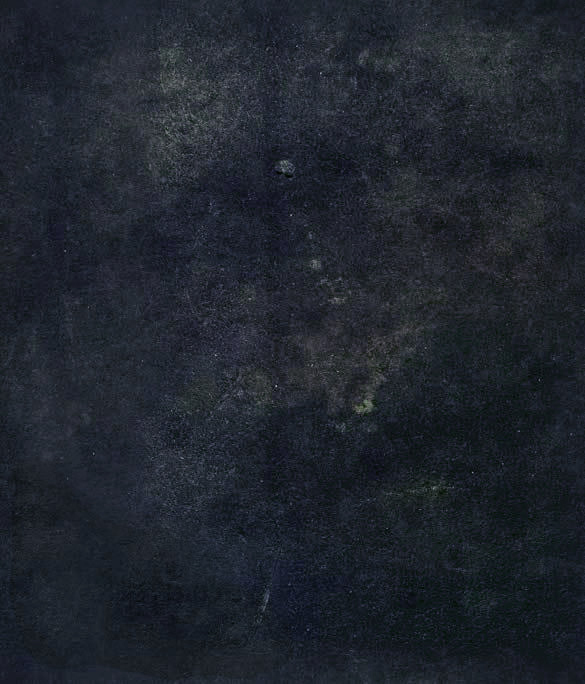 If the band's previous work, 2011's "Funerals From The Astral Sphere" has become a cult release and today is cherished as one of the finest examples of atmospheric black metal, "Shards Of Silver Fade" is certainly going to break new grounds and to impose the Australian act on a wider audience, independently from metal sub-genres and styles. The funeral doom grandeur of Tempestuous Fall and the dark-wave vibe of The Crevices Below - Dis Pater's past projects - have been successfully injected into Midnight Odyssey's cosmic black metal body, redoubling the emotional intensity and dark majesty of its melodies. 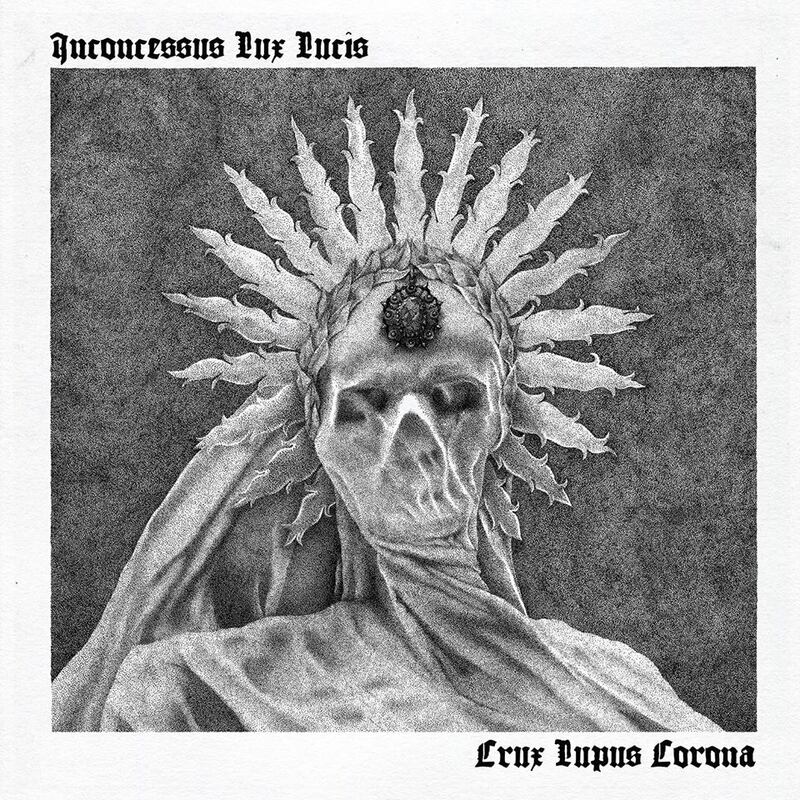 Above, the stunning cover art drawn for INCONCESSUS LUX LUCIS' "Crux Lupus Corona" EP by UK artist Bethany White. 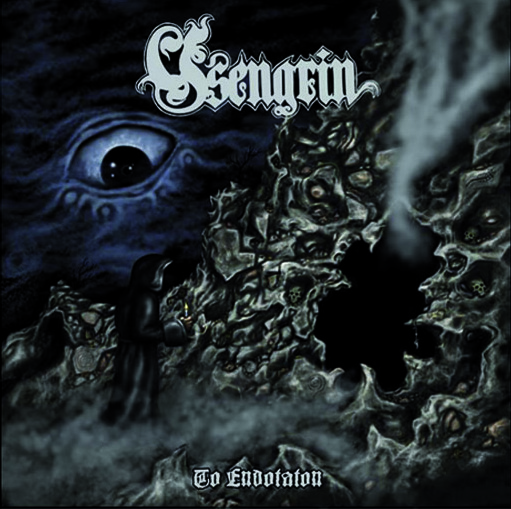 "The front cover depicts The Crowned Lord of Death in all his magnificence," explains singer/guitarist W. Malphas. "How it worked was that we gave Bethany the music and lyrics to become absorbed in, and then interpret in her own way via visual illustration. She had managed to find new levels of meaning in our music that I hadn't even noticed while I was writing the lyrics!" "Crux Lupus Corona" will be out in October as a jewelcase CD with a 12-page full-color booklet featuring all lyrics together with extra art from Bethany White. An ultra-limited special edition has been taken into consideration. INCONCESSUS LUX LUCIS have been featured at the No Clean Singing metal zine, which premiered the song "Crux" worldwide. You can read the article here. We're very pleased to announce that INCONCESSUS LUX LUCIS, one of UK's rising metal forces, have joined the ranks of I, Voidhanger Records. 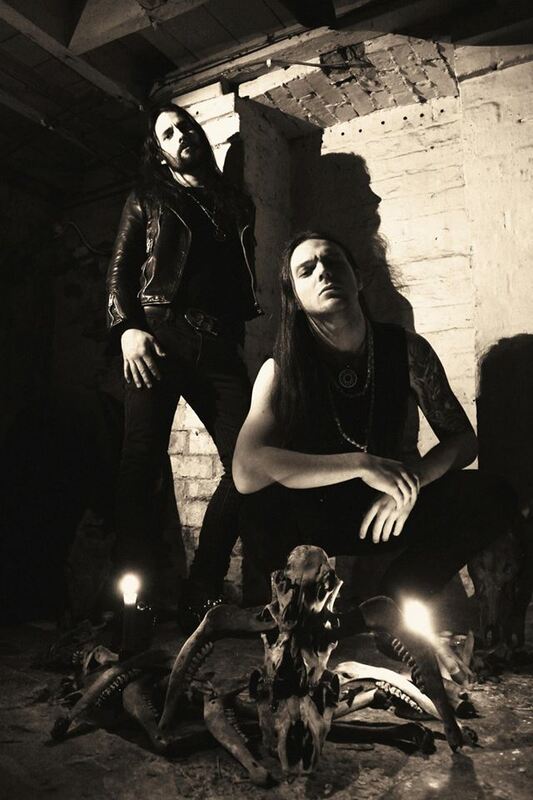 A duo comprised of W. Malphas (guitars, drums, vocals) and A. Baal (bass), INCONCESSUS LUX LUCIS offer a very personal take on occult/satanic black metal by embracing the fierce aggressiveness of 80's metal and the formidable grooves of 70's hard rock. The result is what the band calls Saturnian Black Magic; metal in its purest and most creative form. 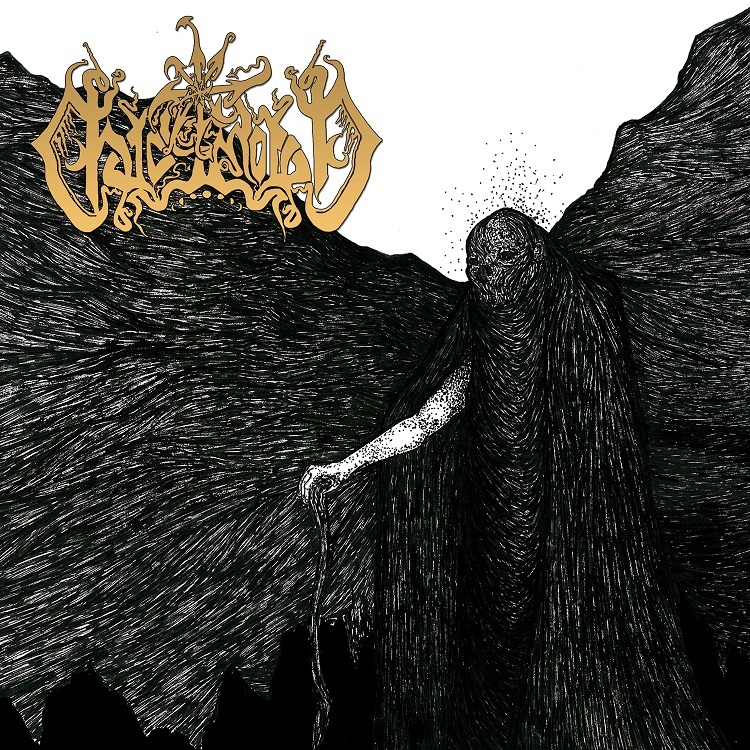 "In its spirit, I suppose this music is best defined as black metal due to the intent behind it," says Malphas; "however, I curse anyone who decides to scorn our work because it doesn't fit their worthless, restrictive ideas of what black metal should sound like." After a well received debut titled "Disintegration: Psalms Of Veneration For The Nefarious Elite" on Nomos Dei Productions, the band is working on their sophomore full-length album, to be released next year by I, Voidhanger Records. 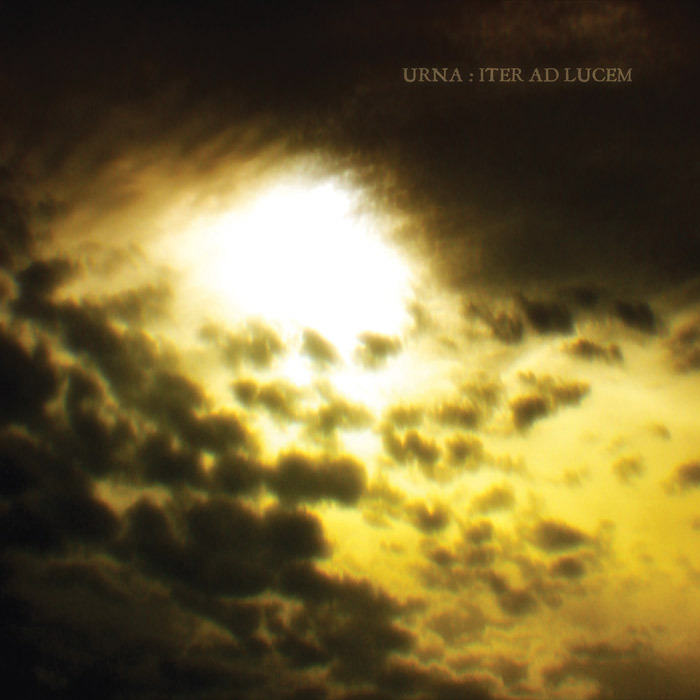 But first it will be the time of an EP including what INCONCESSUS LUX LUCIS consider their best material so far. Inspired by the eponymous constellations and the occult significances they imply, the "Crux Lupus Corona" EP is scheduled for an October release. Cover art will be revealed very soon, together with a preview song. MARE COGNITUM's third and boldest quest into the cosmic regions of black metal, "Phobos Monolith" is scheduled for an October release. It will be available as a jewelcase CD with a 12-page full color booklet and graced by a stunning cover art by Luciana Nedelea. Here's an album teaser, for all the abysslookers out there... Enjoy! (US - Doom / Heavy Rock / Psych / Prog) Jewelcase CD, 16-page full color booklet on 170g glossy coated paper, with lyrics and liner notes. Cover art by Costin Chioreanu. (US - Atmospheric Black Metal) Jewelcase CD, 12-page full color booklet on 170g glossy coated paper, with lyrics. Cover art and booklet drawings by Derek Setzer. (CAN - Occult Rock / Doom / Psych / Heavy Metal) Jewelcase CD, 16-page full color booklet on 170g glossy coated paper, with lyrics. Cover art and booklet drawings by Luciana Lupe Vasconcelos. Our new releases ̶ CHAOS MOON's "Resurrection Extract", THE ORDER OF THE SOLAR TEMPLE's eponymous debut and JOHN GALLOW's "Violet Dreams" ̶ are now available at Bandcamp for streaming and digital download! CDs will be here in a couple of weeks, pre-orders are officially open! 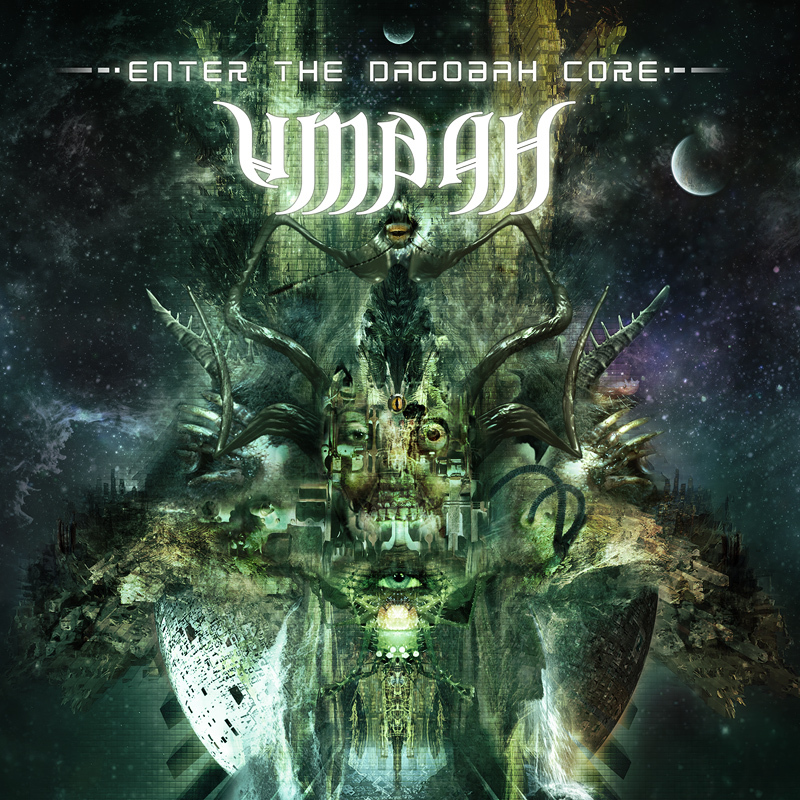 June starts with a huge mailorder update which includes the latest vinyl releases from Ysengrin, Balmog, Beyond Mortal Dreams; new CDs from Dead Congregation, Domains, Wulkanaz, Agatus, Todesstoss, and full restock of the Invictus Prod. and Nuclear Winter Rec. catalogues. 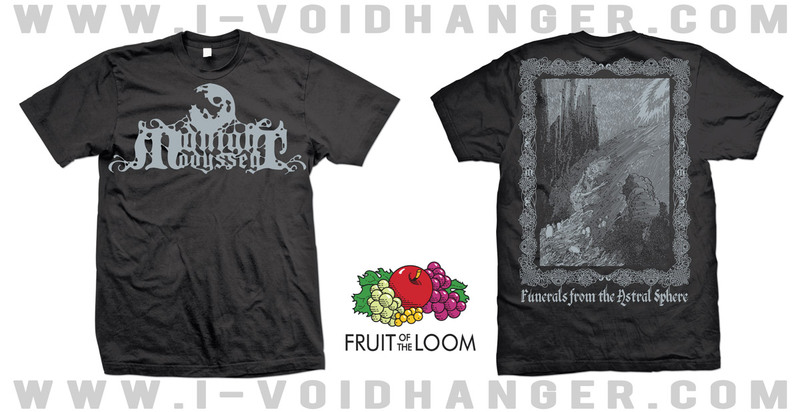 Support I, Voidhanger Records, buy from our store. Apologies to those who received spam emails from our usual account in the last 2 days! It seems that our provider is under attack since May 17 and things are getting worse. From now on, please send all your inquiries and orders to the email address below. Thanks. 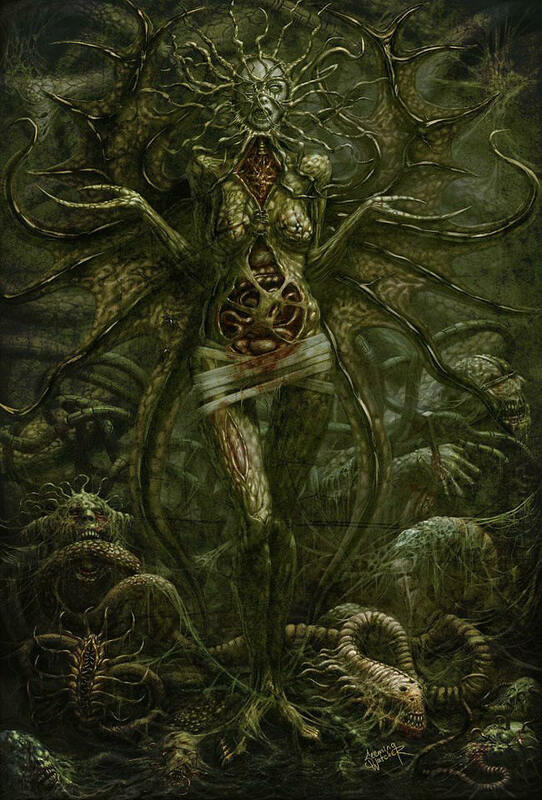 Like the grim and putrid Lazarus on the cover art above, drawn by Derek Setzer, CHAOS MOON have come to life once again and in July will release their long-awaited third album, "Resurrection Extract." 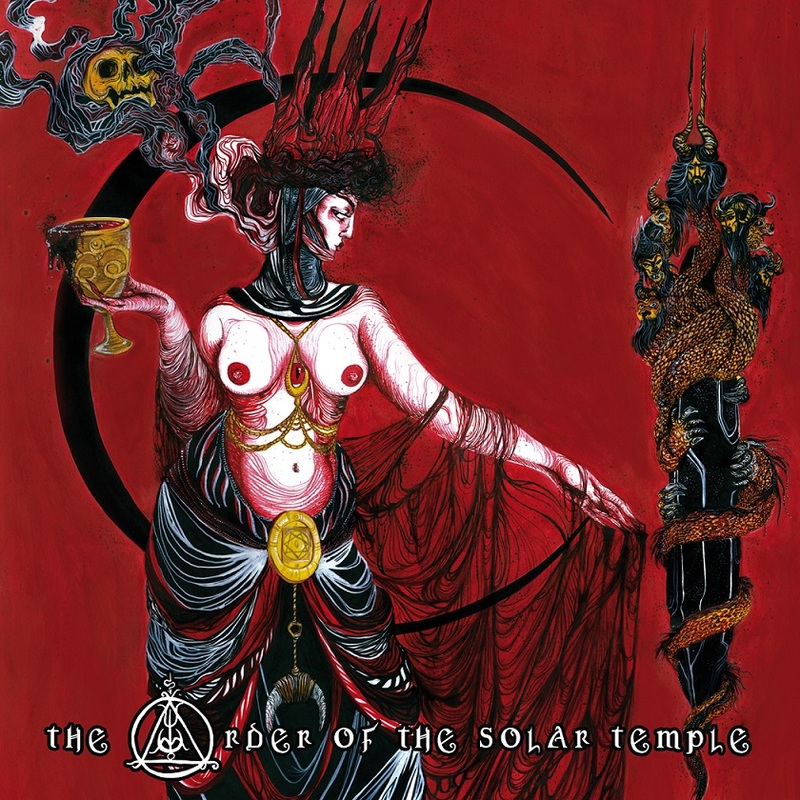 The stars are finally alligned: Canadian occult doom rockers THE ORDER OF THE SOLAR TEMPLE will release their eponymous debut album in July! It will come as a jewelcase CD with a 16-page full color booklet. Stunning cover art and booklet illustrations by Luciana Lupe Vasconcelos. 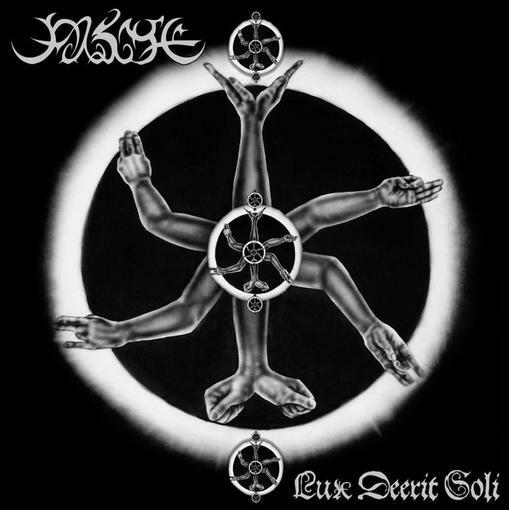 Conceived in 2012 by singer/guitarist Matt "Macabre" Emery - once in the ranks of Funeral Circle and other Vancouver's metal acts - THE ORDER OF THE SOLAR TEMPLE plaits the occult-tinged proto-metal of Blue Öyster Cult with the dark, introvert visions of Paul Chain; the doom arabesques of Pagan Altar with the dreadful metal outbursts of Demon and Mercyful Fate; the teachings of Aleister Crowley with the denim-and-leather philosophy of the first metal era. Listen to "The Order," a new preview track off the album. We want to thank our dear friend Costin Chioreanu for the sensational cover art shown above! Inspired by JOHN GALLOW's twisted doom metal tunes, it will adorn his upcoming debut album, "Violet Dreams." "Violet Dreams" is a solitary, introspective and mostly improvised music voyage; the observation of an artist - John Gallo of ORODRUIN and BLIZARO fame - that has internalized the gloomy riffs and sorrowful atmospheres of doom, transforming them into mystic and bizarre mindscapes. SPECTRAL LORE AND MALHKEBRE AT BANDCAMP! SPECTRAL LORE's "III" and MALHKEBRE's "Revelation" are now available at Bandcamp for streaming and digital download. CDs will be here in 10 days, pre-orders are open! We are very pleased to announce the signing of MARE COGNITUM, one of the leading forces in the progressive black metal field! The band's sole member, Jacob Buczarski has already proven his capabilities on his first two full-length releases and the "Sol" split CD with Spectral Lore. Since then he has refined his songwriting and production skills even more, and is ready to offer his third voyage in the spaced-out realms of cosmic black metal. Titled "Phobos Monolith," the album is scheduled for a September release. Both SPECTRAL LORE "III" 2-CD digipack and MALHKEBRE "Revelation" CD digipack are expected to be in our hands around May 10. Starting from May 2 it will be possible to pre-order them and to buy their digital versions through our Bandcamp page. We're very pleased to announce a new collaboration with one of the most talented rock/metal artists of our times, John Gallo! After the "Strange Doorways" double anthology of eccentric doom, heavy-psych, and other assorted dark extravagances released under the BLIZARO banner, we will soon send to press the first full-length album of JOHN GALLOW, the most recent alter-ego of our hero from Rochester, NY. "After years I am finally opening a new chapter in my doom journey," has commented Gallo himself. 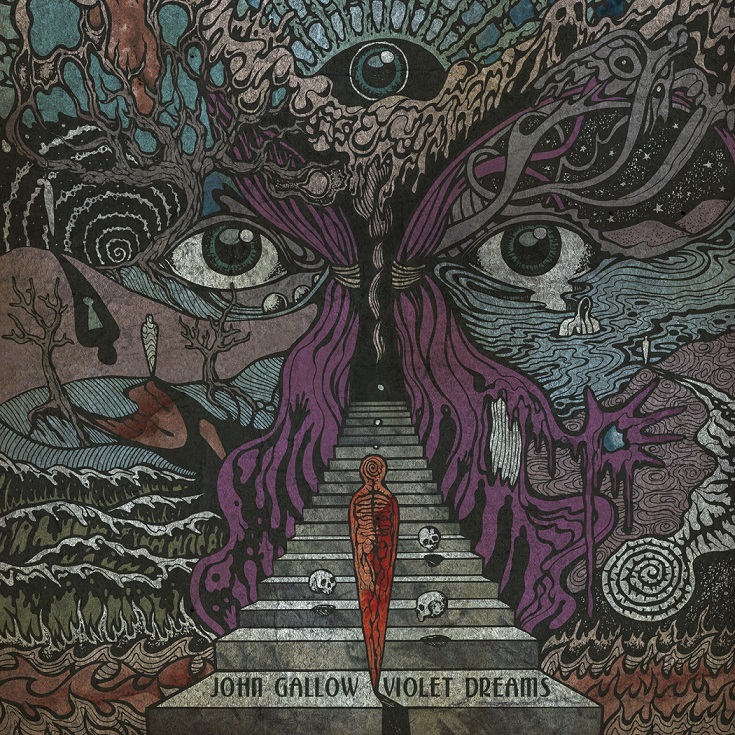 "JOHN GALLOW's debut CD is called Violet Dreams and features 13 cuts of heavy riff madness. It's Black Hole, Paul Chain, and early Candlemass all in one cocoon!" As it was for the BLIZARO "Strange Doorways" box-set, "Violet Dreams" will come with exclusive cover artwork by the renowned Romanian artist Costin Chioreanu, while our art director Francesco Gemelli has created the JG logo-symbol you see above, in homage to Paul Chain. Out on May 2nd, 2014 as a luxurious digipack with a 24-page booklet. Reject your last piece of humanity, receive the Final Shape. Become... or die! We are pleased to announce our alliance with the French apostles of religious black metal known as MALHKEBRE and the late April release of their new psalm of death, the long-awaited debut full-length album "Revelation." Cover artwork will be revealed soon, together with a preview song. The group has distilled its venom sparingly, preferring to bide its time rather than unleashing a flood of poor productions. So far, a Cassette released privately for a small number of initiates; the "Prostration" mini LP, first in analog then digitally; a split with Aosoth in analog; and now the first full-length album, "Revelation." On the other hand there have been numerous celebrations and a number of groups/brothers have partaken in the liturgies: Antaeus, Blacklodge, Alien Deviant Circus, Christicide, Destroyer 666, Embrace of Thorns, Hell Militia, Ofermod, Peste Noire… these concerts are veritable rituals that make an impression and never leave you indifferent. HOWLS OF EBB "Vigils Of The 3rd Eye" and BLOODWAY "Sunstone Voyager And The Clandestine Horizon" are now available for streaming and digital download at BANDCAMP! (RO - Post Black Metal) Jewelcase CD, 16-page full color booklet on 170g matt coated paper complete with lyrics. Cover art and booklet visual journey by Costin Chioreanu. Below, BLOODWAY's first official video created by Costin Chioreanu for the track "Free Ends." Have a nice trip! (US - Necroclassical / Dark Ambient) Jewelcase CD, 32-page full color booklet on 135g glossy coated paper, with Willliam Blake's paintings, liner notes and track-by-track commentaries. (US - Limbonic Black Death Metal) Jewelcase CD, 20-page full color booklet on 170g matt coated paper, with lyrics and paintings by Wiley Trieff. 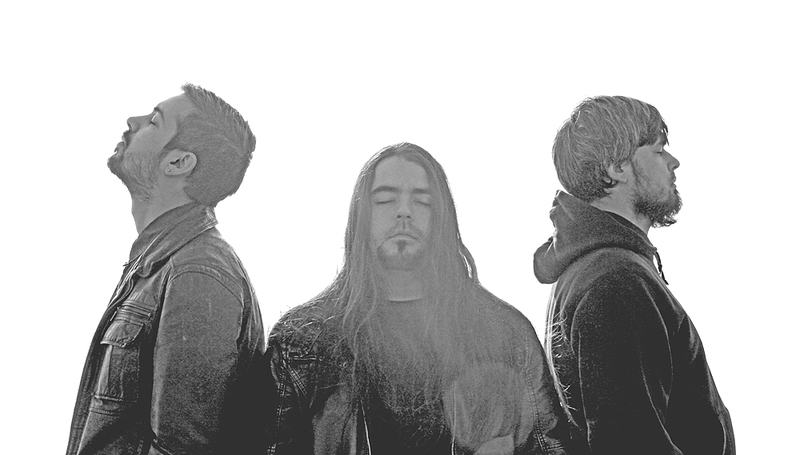 NAR MATTARU is Bliol (vocals), Francisco Bravo (bass, guitars), and Andrès Gonzàles (drums). Here's the last preview track before the release of HOWLS OF EBB's upcoming debut album "Vigils From The 3rd Eye." This time we chose a shorter and extremely venomous song, "The Arc. The Vine. The Blight." Below, one of the highlights from GOATCRAFT's sophomore album "The Blasphemer" is available for your listening pleasure. 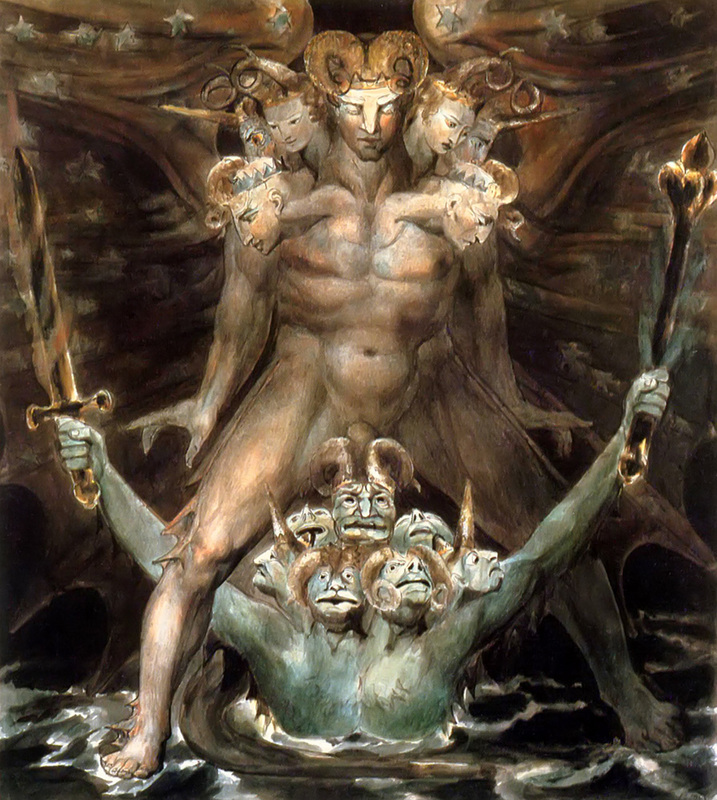 The track is called "Satan In His Original Glory" and has been inspired by the William Blake's painting of the same name. "One must look at ‘Satan In His Original Glory’ and see what Blake wanted to communicate," explains GOATCRAFT sole member Lonegoat. "Blake was against the restrictive nature of Christianity, so he presented nature on par with spiritual energies. In the painting, you will see that the angels of Satan are below him holding musical instruments to create art, as well as books to obtain knowledge. Blake ultimately wanted people to educate themselves so that they would be liberated from religious ignorance." GOATCRAFT has recently been interviewed by Timothy Bartlett at Zero Tolerance Magazine, UK. "The Blasphemer" is scheduled for a March 3rd release in Europe, but will be available for sale in our store even sooner... be prepared! 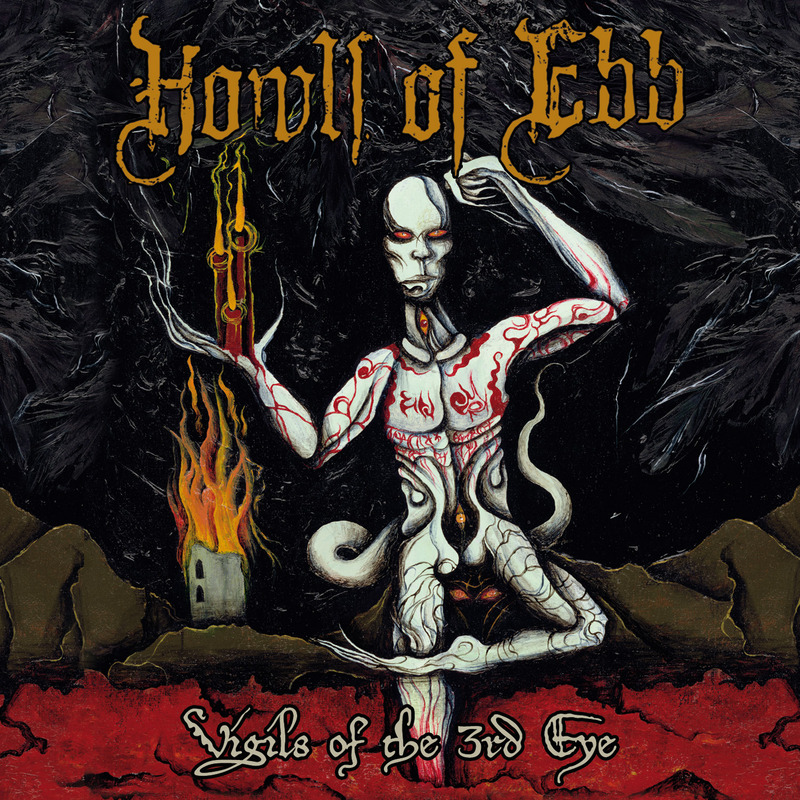 Time to divulge another limbonic black death metal sermon off HOWLS OF EBB's upcoming debut album, "Vigils Of The 3rd Eye" out on March 3rd, 2014. Submit to the "Illucid Illuminati of the Dark." SPECTRAL LORE ANNOUNCE THE NEW DOUBLE ALBUM "III"
SPECTRAL LORE announce their new epic, a double album of progressive black metal titled "III", scheduled for a late April release via I, Voidhanger Records. "In the works since 2008, lyrically and conceptually 'III' marks a passage from the internal to the external, from the individual to cosmic destiny," SPECTRAL LORE sole member Ayloss explains. "It aspires for humans to discover the importance of their own existence and the potential of their effect, negating the pessimism and existential nihilism that are ever-present in black metal. It aspires for Man to ask the greatest questions and to come up with answers, even as naive or limited as they might seem at the moment. The deepest, most beautiful dream is that which is in tune with the Universe." Divided into 2 parts – "Singularity" (tracks 1-4) and "Eternity" (tracks 5-7) – "III" will come as a luxurious 6-panel double digipack with a 16-page full color booklet, and will be graced by the magnificent, visionary cover art you can admire above, courtesy of the renowned symbolist painter Benjamin Vierling. Together with the album cover, the Greek black metal band has also unveiled a new song off the album, "A Rider In The Lands Of An Infinite Dreamscape." Enjoy. 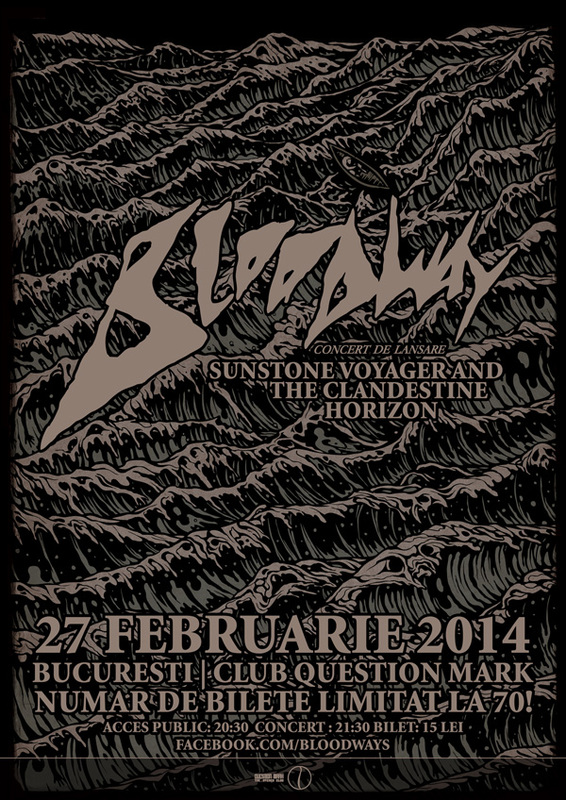 BLOODWAY will promote the release of their debut MCD, "Sunstone Voyager And The Clandestine Horizon" by playing a special live show on February 27th, at the Question Mark Club in Bucharest, Romania. The concert will start at 9:30pm and will be an intimate one, having no opening acts and an extremely limited number of tickets (only 70). The band kindly ask their guest not to use any video or photo cameras during the performance, in order to be focused on the show. Those attending the concert will be the first metalheads to purchase BLOODWAY's debut MCD at a special price. The musical background for the entire evening will be selected by Costin Chioreanu. February 27th is the CD release date for Romania only. The official release date for the other European Countries and the US will be announced soon. THE ILLUCID ILLUMINATI OF THE DARK ARE COMING! 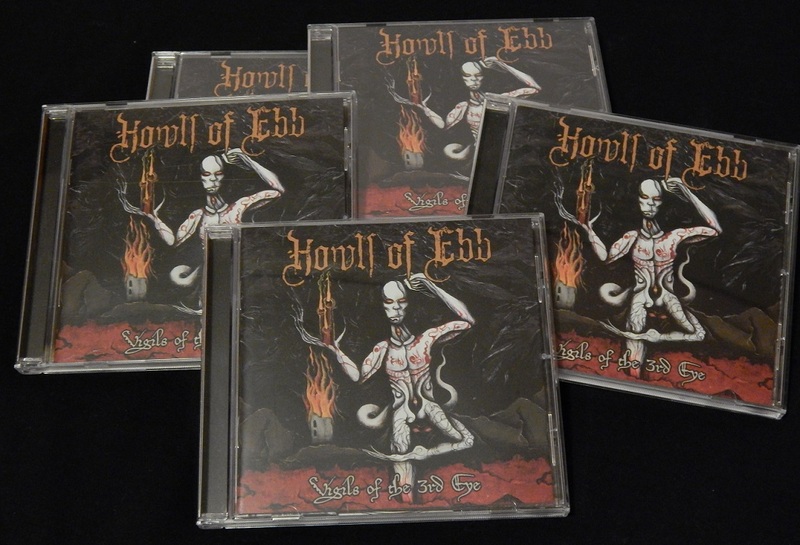 There's nothing else you need to know, except that HOWLS OF EBB's debut album, "Vigils Of The 3rd Eye" will be released in late February/early March 2014. Jewelcase CD, 20-page booklet. Paintings by Wiley Trieff, art direction and layout by Francesco Gemelli. And now... Lick the Blade of the Dark! WE NOW HAVE A BANDCAMP PAGE! Many of our releases are available there for your listening pleasure and for your digital purchases, the rest of our catalogue will be added soon. The merch section already features several of our physical releases, but if you want to buy multiple items please get in touch for discounts and exact shipping rates. 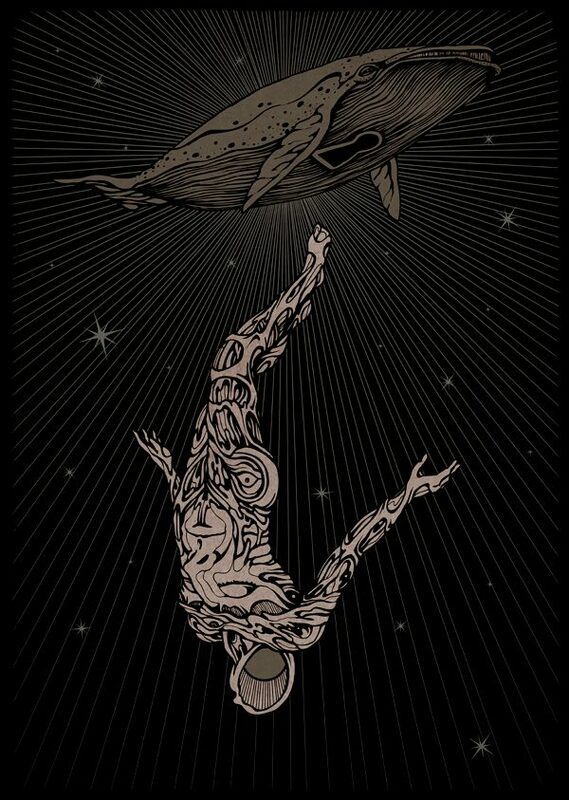 Thanks to all those who have supported I, Voidhanger Records through 2013, hoping you'll keep on staying with us. We promise it will be another intense year! As reported, BLOODWAY are gearing up for the release of their debut EP, "Sunstone Voyager And The Clandestine Horizon", through I, Voidhanger Records at the beginning of 2014. As a worldwide premiere, BLOODWAY offer the first track, for streaming online, through our Soundcloud channel. "This is the first track we ever composed as a band, is the opening track of our debut release, so we decided to start with the very beginning. Ideologically speaking, "The Skeleton Key" is the key capable of opening any lock regardless of make or type. Its skeletal structure can bypass all locks. So, it's a kind of invitation to go deeper and deeper inside yourself, until you find the essence. As closer to the essence you get, as pure the result is. And only that purity can act as the skeleton key," says singer/guitarist Costin Chioreanu. About studio time and recording BLOODWAY's "Sunstone Voyager And The Clandestine Horizon", producer Marius Costache says: "I have worked with Costin on numerous musical projects, but I think BLOODWAY is the project that manages to comprise everything he's done before in a single unified vision and sound. Production side, there was no intention in sounding like a certain something, but neither one of being like no other before. The sound just served the music behind it. The band came really prepared to the studio knowing what they wanted, but we also experimented a bit for some creepy parts and due to similar tastes for some particular esthetics, the whole thing came together quite quickly." "We grown up as a band in our private cellar, playing all together and using a very basic setup. Once in the studio, we recorded the drums without any clicktracks, in order to keep the feeling of our music alive and even to develop it. After that we recorded the rest of instruments over these wild drums. It was crazy, but it was the only way we could reach this level of musical expression," Costin Chioreanu adds. Concerning the sound and production: "I knew Marius can do exactly what we need. Seems like he just read our minds." 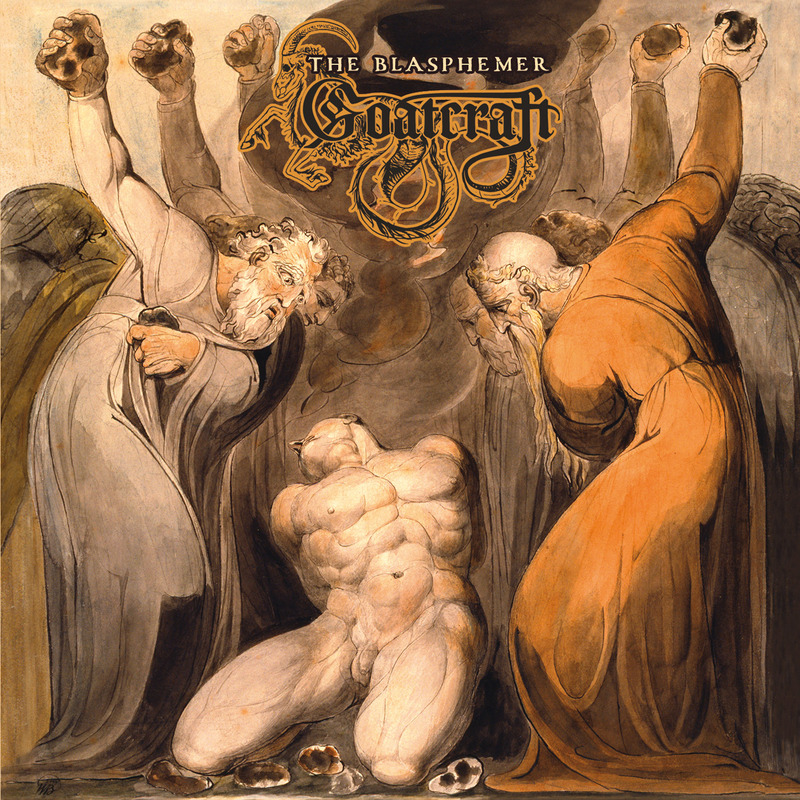 GOATCRAFT "THE BLASPHEMER" COVER ART REVEALED! 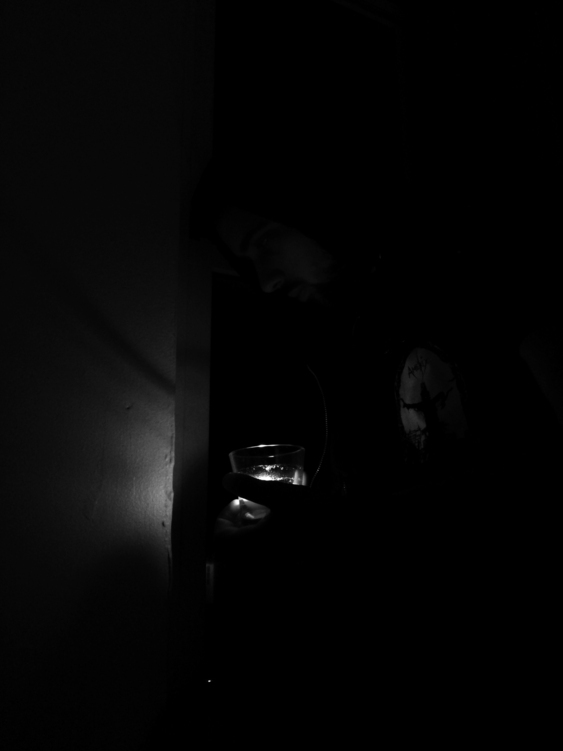 GOATCRAFT's sophomore album "The Blasphemer" is now scheduled for a February 2014 release. It will come as a jewelcase CD, with a 32-page booklet assembled by our art director Francesco Gemelli and filled with art, track-by-track commentaries, and liner notes. "Written and recorded from July to November 2013 under the influence of William Blake's paintings and theological observations, the album represents my quest to reconcile the mystical side of GOATCRAFT with its nihilistic side," sole-member Lonegoat explains. GOATCRAFT performs Necroclassical Art exclusively! BLOODWAY was born in July 2013, from the ideas of 3 musicians: drummer Alex Ghita, bassist Mihai Andrei, and guitarist/singer Costin Chioreanu, one of the most renowned and acclaimed artists and graphic designers in today's metal field. The three merged their past musical experiences, challenging themselves to reach new borders of creativity, in order to shape a special band with an extremely coherent speech. The name BLOODWAY comes from the idea of experiences and paths that somebody can achieve and discover during a lifetime. The reason why the band kept everything secret - from it's own existence to any updates concerning creative progress - until this very moment it is simply the band member's desire of presenting just the results of their creativity, completely ignoring the nowadays social aspects of having a band. "We were totally focused on developing what we wanted to build together, so we just locked ourselves in the cell and kept everything away from the world outside. Our main goal was first to find our own path and to record a debut material as concentrated as possible. We simply left outside the door any possible influence from the people around us," Costin Chioreanu explains. "Even our closest friends had zero information on our existence as a band, until today... but our purpose demanded that precisely." In September 2013 BLOODWAY recorded a live demo and sent it only to one label worldwide, I, Voidhanger Records from Italy, label that signed the band on the spot. "I worked with them in the past on some graphic projects," Costin says, "I saw how much passion they put on their releases, and I knew that was the right choice. This is the most important thing concerning this band: everything we do and every person we work with ,must be 100% into our world, otherwise it means that something is wrong and must be cut down immediately. The way to reach purity of expression, is a very painful road, concerning mostly human relationships." 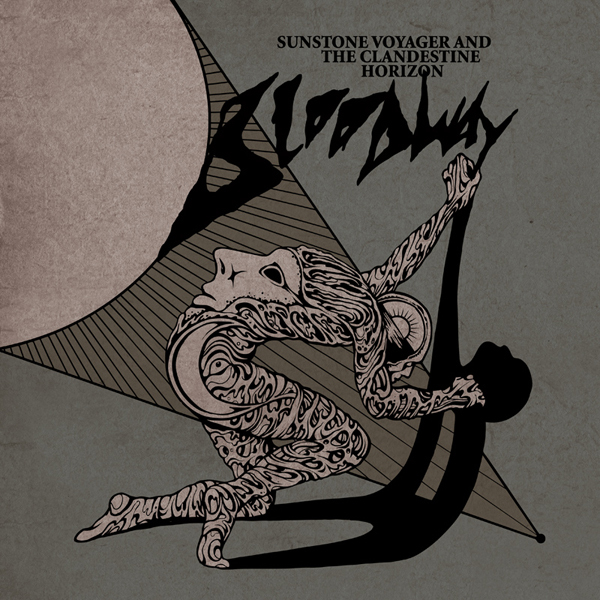 Together with producer Marius Costache, in November 2013 BLOODWAY entered Next Dog Studio (Bucharest) and gave birth to their debut recording "Sunstone Voyager and the Clandestine Horizon" which will be released at the beginning of 2014 by I, Voidhanger Records. 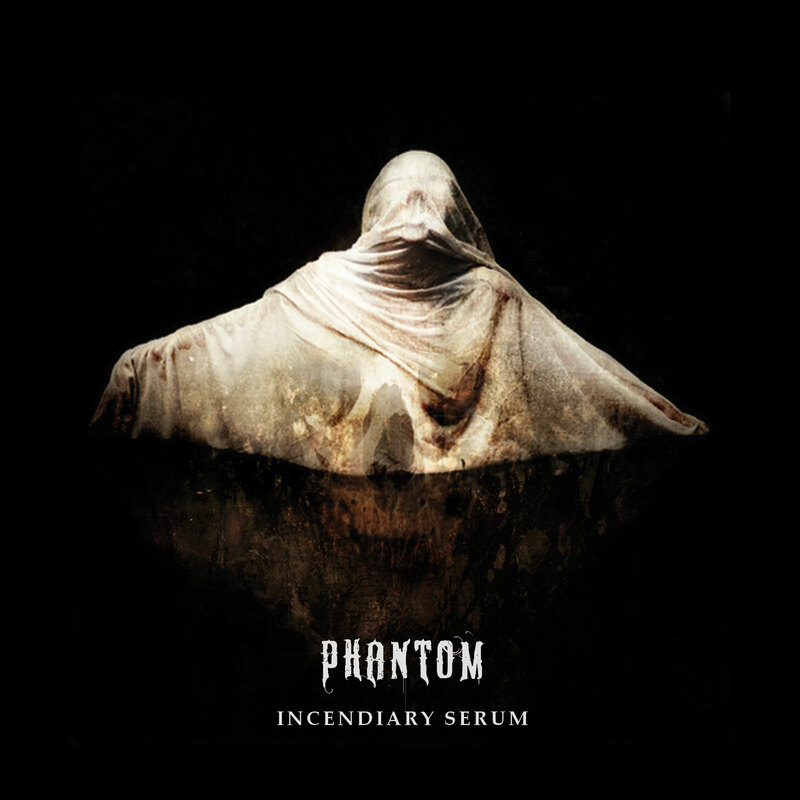 PHANTOM "INCENDIARY SERUM" COVER ART REVEALED! We're glad to inform that MIDNIGHT ODYSSEY "Funerals From The Astral Sphere" 2-CD is available again, and all pending orders have been shipped! 2-CD + Tshirt bundle still available. Price: Euro 25,00. Place your orders! 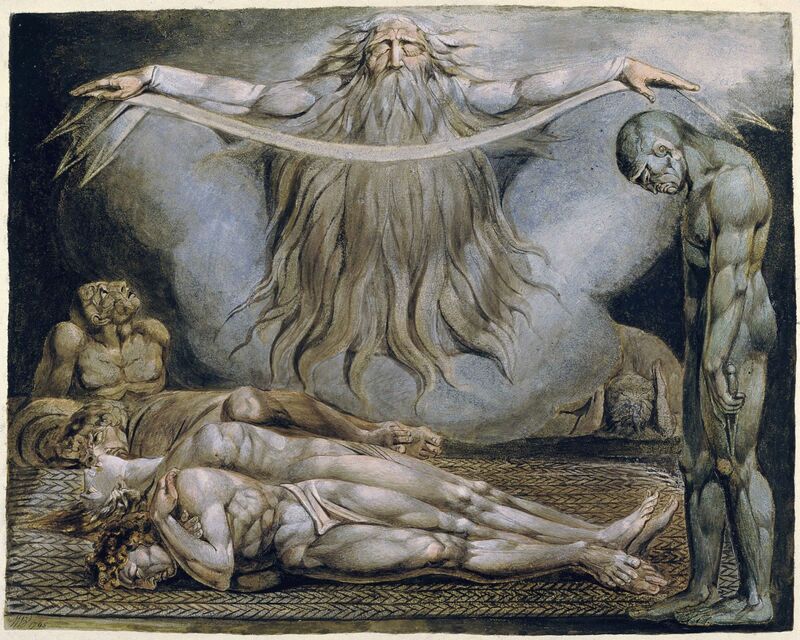 The album is divided in four sections, each one with a central theme based on William Blake's art and theological interpretations. The first part (tracks 1-4) is dedicated to the cruelty and iniquity of God like he appears in the Old Testament. The second part (tracks 5-7) explores some of Blake's sources, like the myths from the past and the ancient religions, with their dark and mysterious gods (Hecate), and tragic characters (Nebuchadnezzar). The 7th track is inspired by a few wonderful verses from Shakespeare's Macbeth. The third part (tracks 8-11) is dedicated to Blake's 'The Great Red Dragon' series of paintings. The conceptual source for all of them is the Book of Revelation (Apocalypse), chapters 12 and 13 in chronological order. 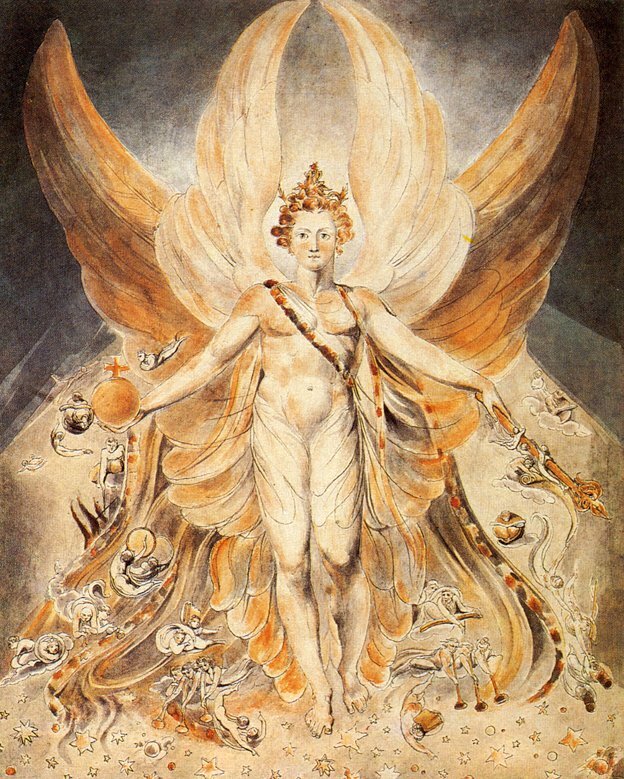 The fourth part (tracks 12-14) puts together two figures, Urizen (from Blake's own religious system) and Lucifer/Satan, similar and antithetical at the same time. Like the different faces of a medal, but with a common destiny: that of failing and falling from grace. 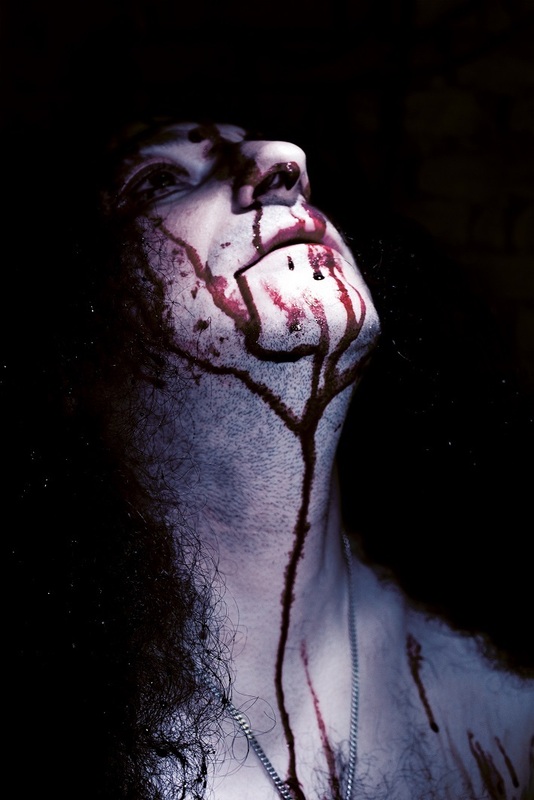 "The Blasphemer" is scheduled for an early 2014 release. We'll soon unveil the album cover together with a new sample track. In the meantime, listen again to the "House Of Death," premiered thru Deathmetal.org a while ago. WOEBEGONE OBSCURED "MARROW OF DREAMS" COVER ART REVEALED! After a six-year hiatus from their debut release, Danish blackened funeral death/doom masters WOEBEGONE OBSCURED return with their long-awaited, majestic, sophomore album "Marrow Of Dreams", which will see its official release on December 13th in Europe, and on January 13th in UK/USA. "Marrow Of Dreams" will be available as a jewelcase CD with a 20-page full-color booklet complete with lyrics and liner notes. 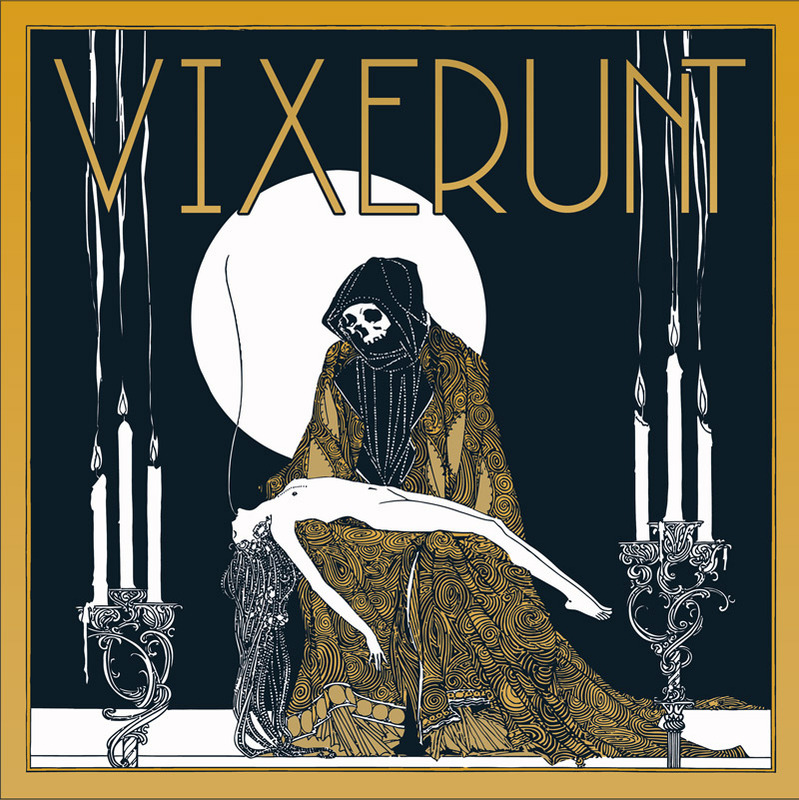 LUSTRE / AUS DER TRANSZENDENZ "Vixerunt" Split 7"
MIDNIGHT ODYSSEY "Funerals From The Astral Sphere" 2-CD is now temporarily sold out! But no worries, a reissue will be available in a couple of weeks. You can keep on buying this title and the 2CD + Shirt bundle as well, and we'll ship your order once we get the records from the factory. CHECK OUR STORE AND PLACE YOUR ORDER NOW! I, Voidhanger Records is pleased to announce the signing of one of the most beloved US underground black metal sons, the revived CHAOS MOON! After a couple of EPs and 2 well-received albums released in 2007 ("Origin Of Apparition" and the stunning "Languor Into Echoes, Beyond"), in 2011 singer/guitarist Alex Poole decided to put CHAOS MOON to sleep forever. Later he joined KRIEG and gave birth to ESOTERICA and LITHOTOME, two of the most exciting metal projects of today. Then in 2013 Poole realized it was time to wake his oldest creature up, and is now ready to teach a new lesson in atmospheric, transcendental black metal. Do not miss Alex Poole's other black metal project, ESOTERICA, which has just debuted via Forever Plagued Records with the surprising "Aseity" CD, available for sale in our store. 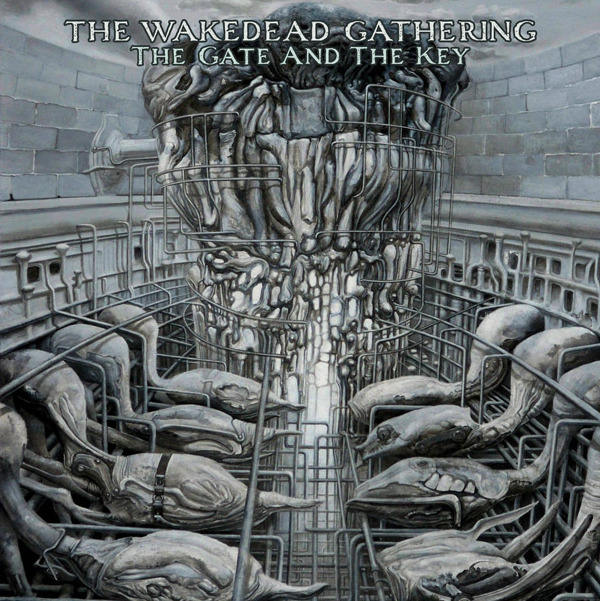 We have the pleasure to unveil Pete Hamilton's cover art for the upcoming new album of US death metal band THE WAKEDEAD GATHERING! Scheduled for a December release, "The Gate And The Key" will come as a jewelcase CD with a 16-page full-colour booklet featuring other stunning paintings from Pete Hamilton, and exquisite layout by our own Francesco Gemelli. To whet your appetite, here's a new preview song, "Hypgnosis." SPECTRAL LORE's sole member Ayloss is perfecting a new album that explores the most extreme progressive black metal offshoots of the band's style. Titled "III", the new work has been writing itself for 5 years now, and must be perceived as the continuation of "II" (2007), being actually the predecessor of the "Sentinel" album (2012). 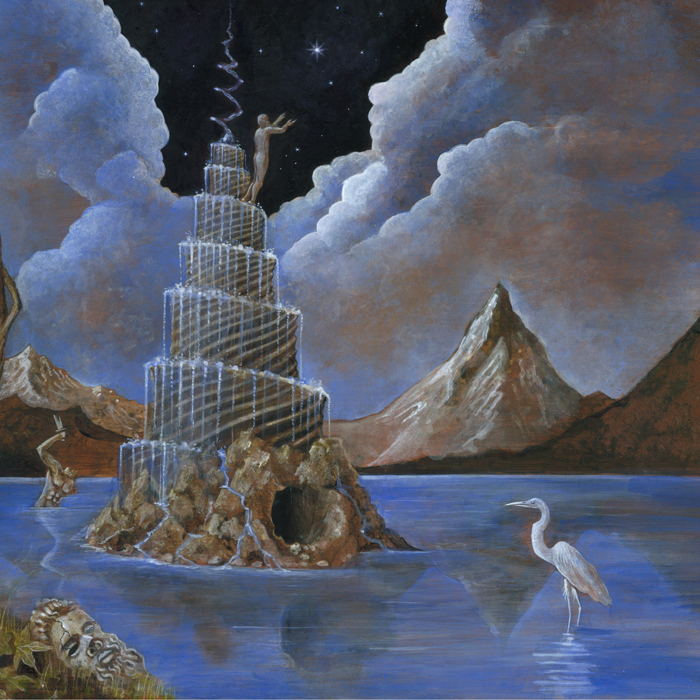 "III" is scheduled for an early 2014 release and will be graced by a beautiful cover painting by renowed artist Benjamin Vierling directly inspired by one of the album highlights, "The Spiral Fountain", which we're proud to offer here in its un-mastered version for your listening pleasure. And here it is, the last sample track before the release of "CONVERGE, RIVERS OF HELL", a concept-album centered on the dark streams of Hades, with exclusive songs by MIDNIGHT ODYSSEY, THE CREVICES BELOW and TEMPESTUOUS FALL. "I feel it is now the appropriate time to mention that this release will mark the death of both The Crevices Below and Tempestuous Fall. Hell seems like a suitable place to leave these more 'earthy and subterranean' projects. Like the rivers of hell that converge into one another, growing wave upon wave, so must my musical endeavours merge to allow for the growth of Midnight Odyssey." "CONVERGE, RIVERS OF HELL" will be out before the end of October. There was a time in the History of Hard Rock and Heavy Metal when the boundaries of those genres were blurry and it was natural for them to flow together into powerful musical expressions, very often under the flag of occultism and esoterism. Today, those times of great ardour and creativity revive in the arcane melodies of THE ORDER OF THE SOLAR TEMPLE, a wicked congregation performing strange rituals in the ancient magik of rock and roll. Conceived in 2012 by Canadian singer/guitarist Matt "Macabre" Emery - once in the ranks of Funeral Circle and other Vancouver's metal acts - THE ORDER plaits the occult-tinged proto-metal of Blue Öyster Cult with the dark, introvert visions of Paul Chain; the doom arabesques of Pagan Altar with the dreadful metal outbursts of Demon and Mercyful Fate; the teachings of Aleister Crowley with the denim-and-leather philosophy of the first metal era. THE ORDER OF THE SOLAR TEMPLE will debut early next year on I, Voidhanger Records with a spectacular eponymous album available on both CD and LP. While waiting for the cover art to be revealed, the band has decided to baptize you all with one of their magic rituals, a doom epic titled "Æon Of Horus." 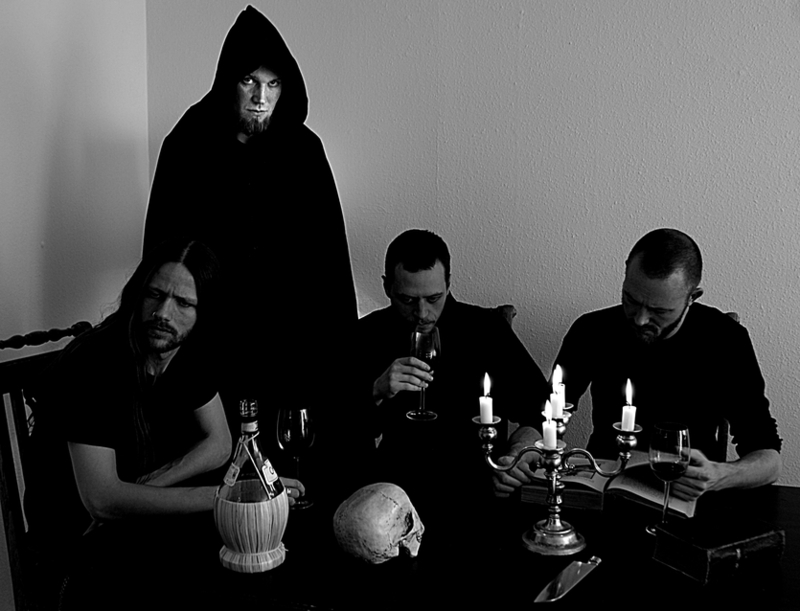 We are pleased to announce the signing of PHANTOM, a band from Denmark devoted to ancient black/doom metal sounds filled with decadent melodies of death and cryptic atmospheres. PHANTOM was born in 2005 to the howling of dying animals and the deranged ramblings of exorcised spirits. 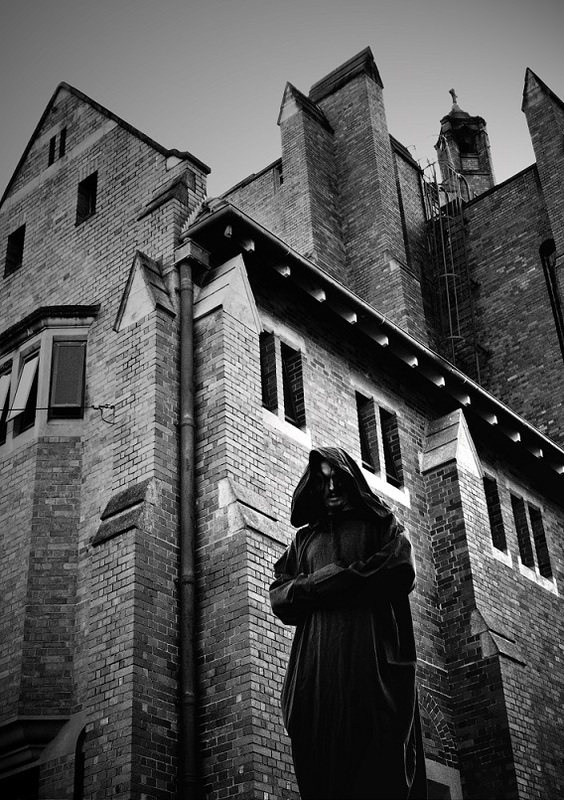 The resulting paranormal black metal is haunted by the ghosts of influences past, yet reaches beyond the confines of the material world to heed the enigmatic call of the others. PHANTOM is the sound of the buried lifting the headstones off of long-forgotten tombs; of muffled cries barely escaping through cellar doors securely locked for centuries; of footsteps across the rotting floorboards of abandoned mansions. Through PHANTOM, the dead are given a voice - and they have dire tales to tell. 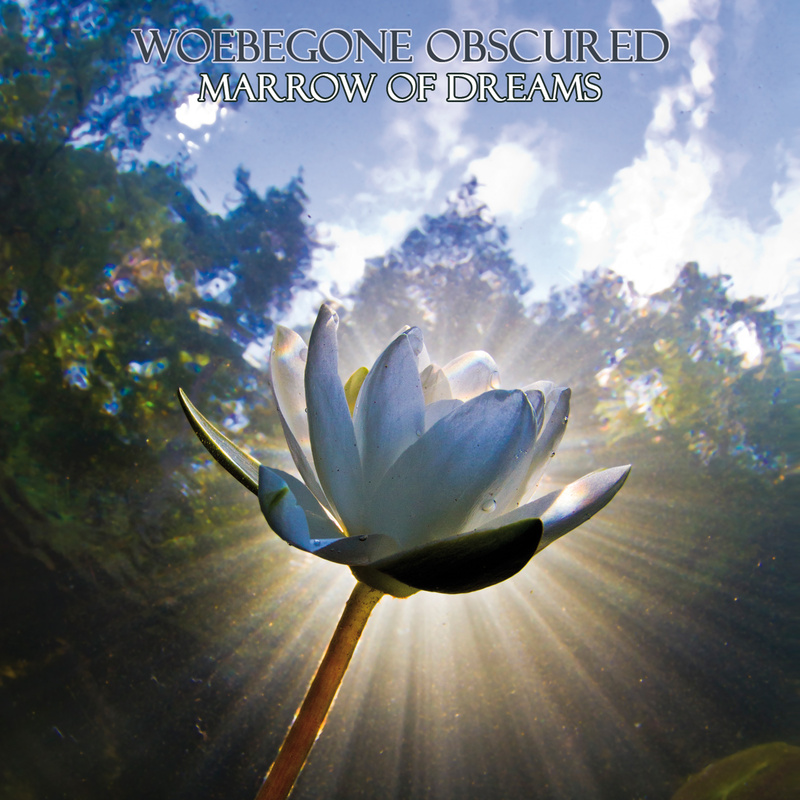 The graphic layout for WOEBEGONE OBSCURED's sophomore 2-CD release, "Marrow Of Dreams" is almost completed and we will soon unveil the album cover, together with a new sample track! We hope to have this out in December. 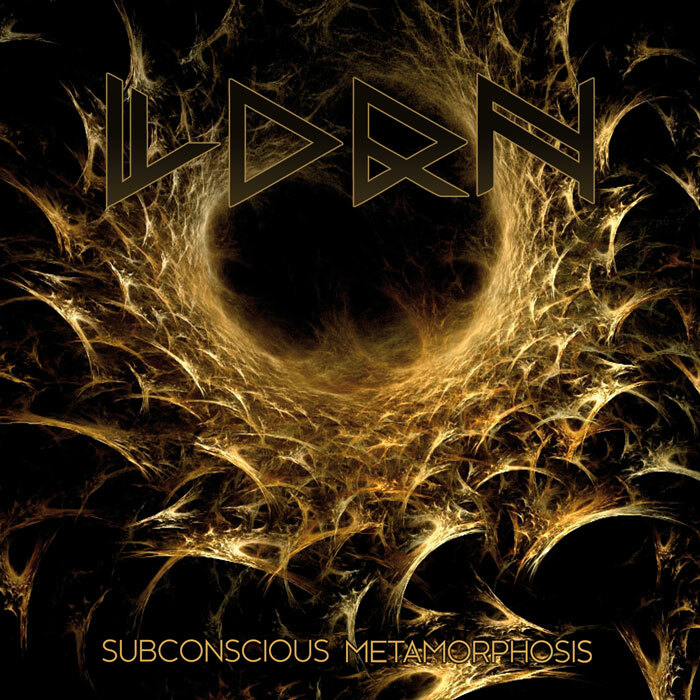 Born in 2002 as a traditional black metal act, the Italian band LORN has forged a new and personal metal language, better suited to the ambitious concept behind its long-awaited sophomore album, "Subconscious Metamorphosis". Conceived in austere solitude on the Dolomites mountains, immersed in a portentous amalgam of trance-inducing black metal and menacing cosmic ambient, "Subconscious Metamorphosis" is a long mental voyage through cold dark tunnels, a continuous and violent hammering on the joints of reality, to unhinge them and open new vistas on interior landscapes. In its brave rejection of the most obvious metal schemes and norms, LORN's music propitiates the definitive conjunction between mind and spirit, microcosm and macrocosm, to win the fear of unknown and be triumphantly reborn in the blinding black light of a new awareness. 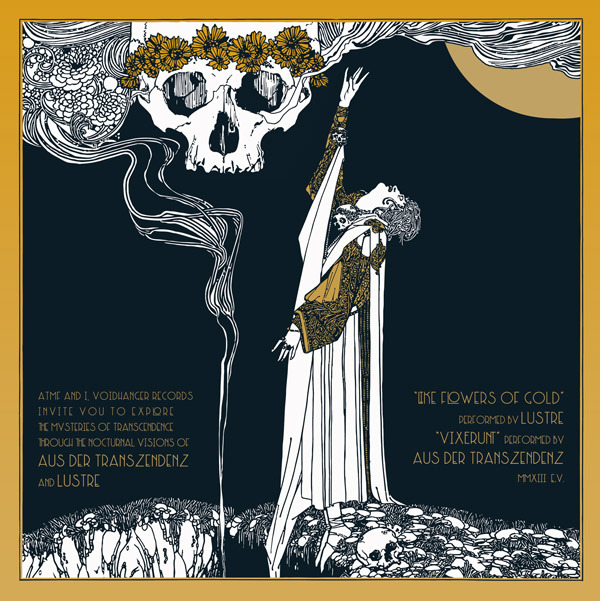 Out in October: LUSTRE AND AUS DER TRANSZENDENZ Split 7"
Together with our brethren at ATMF, we're pleased to announce the imminent release of a co-produced split 7" testifying the meeting of two kindred black metal spirits, different in style but similar in scope: LUSTRE and AUS DER TRANSZENDENZ. You all are invited to explore the mysteries of Transcendence through the romantic, nocturnal visions of LUSTRE's "Like Flowers Of Gold", and the rapturous speed-of-sound of AUS DER TRANSZENDENZ's "Vixerunt". Available next month as a 140g black vinyl, housed in a 300g sleeve with Matte finish plus insert, strictly limited to 250 copies. Stylish artwork by Francesco Gemelli. Both tracks available for streaming HERE! Please notice that our store has been updated with a massive stock of Nuclear War Now titles, on CD and LP. Limited quantities, like always. Also, the promotional pages for some of the next releases are now online, complete with info and sounds. GOATCRAFT vs I, Voidhanger Records! As you can read on the excellent Deathmetal.org page, during a recent live radio appearance Lonegoat - sole member of necroclassical/dark ambient rising star GOATCRAFT - has announced the release of "The Blasphemer", a conceptual work that I, Voidhanger Records will have the pleasure to release early next year. GOATCRAFT's sophomore album will be themed around the work of William Blake, the famous English theologian, painter and poet. More than a simple tribute to the great master of Pre-Romantic and Romantic movements, "The Blasphemer" wants to be a musical probe to reveal and explore the mystical, occult undercurrents in Blake's paintings. "A bridge between esoteric Art and Music," as Lonegoat himself has explained. Check Deathmetal.org for a GOATCRAFT mindblowing live performance and to listen to a preview track off "The Blasphemer": "The House Of Death", inspired by the William Blake's eponymous painting. We are very pleased to announce that the black/death metal cult known as SARTEGOS has joined our family! SARTEGOS was conjured in late 2008 by Galician guitarist/singer Rou in order to perform a bastardized mixture of black and death metal inspired by old masters like Demoncy, Mystifier, Mayhem, early Rotting Christ, Mortuary Drape, Archgoat, Varathron and Profanatica. The first ritual, "A Serpe do Escarnio", was self-released in March 2010 as an edition of 100 pro-tapes, part of which were sold together with issue #2 of the Spanish zine "Apokatastasis." In May 2011 Vindok joined on drums and the band started rehearsing as a duo. 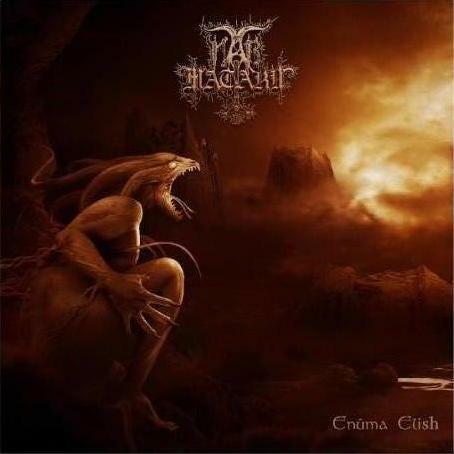 The alchemy between the two musicians spawned the "Mortualha" demo, released that same year in pro-tape format by the French label Chalice Of Blood Angel. In 2013 SARTEGOS return with their official debut entitled "As Fontes Do Negrume" ("The Origin Of Darkness") to sanctify Death and to celebrate the unspeakable mysteries of the Great Serpent. 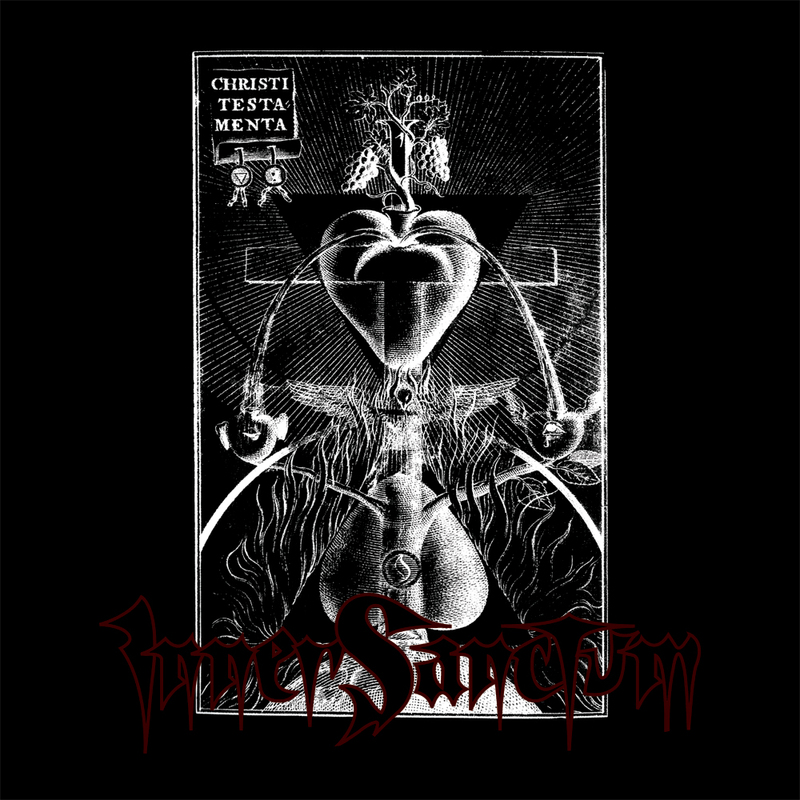 Recently released as a MCD by Bloody Productions, this rotten and venomous host is made of the best SARTEGOS songs to date, 5 hymns plus intro and outro performed under a dim necromantical light. A step forward into the morbid and macabre path the band is following since birth. We plan to compile both SARTEGOS' demos on one CD to be released next year, but first we want to pay homage to the band by giving "As Fontes Do Negrume" the vinyl treatment! The album will be available as a 12" black vinyl (ltd. 200) housed in a 300g sleeve with matte finish, and will come with an 12"-size insert on 150g paper. Please notice that the MCD version of "As Fontes Do Negrume" is now available in our store! 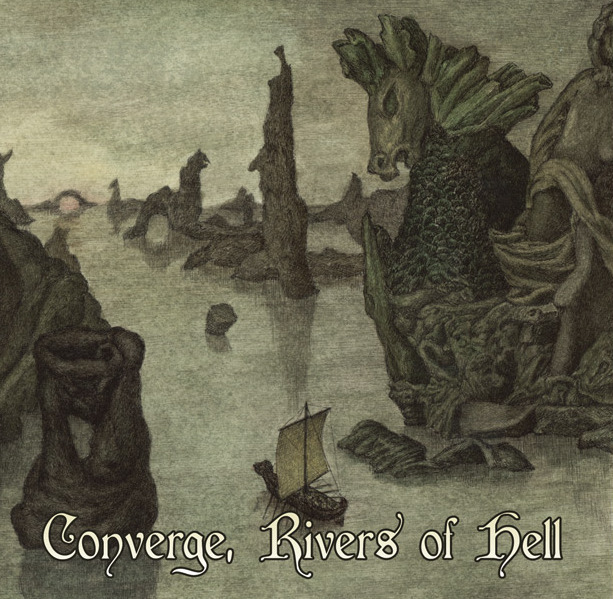 "CONVERGE, RIVERS OF HELL" is a monumental concept-album dedicated to the classical rivers of Hades as narrated in Greek and Latin Literature and Mythology, featuring exclusive contributions from all of Dis Pater's projects! 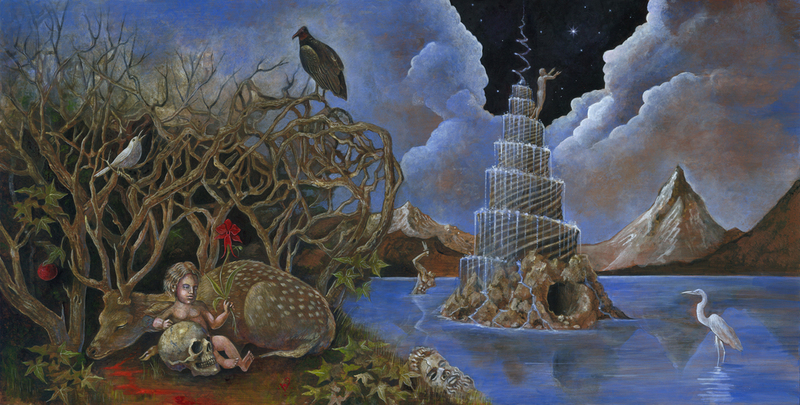 Over 1 hour in length, the CD will be accompanied by a luxurious 24-page full-colour booklet with all lyrics, Dis Pater's notes, and the superb paintings by the Flemish visionary artist Erik Heyninck, a true master of Surrealism. Please visit his online Museum, Castalian Visions. A year after the "Dark Circles" EP release, THE WAKEDEAD GATHERING have completed works on their sophomore full-length, a fantastic piece of dark death metal and a step forward in TWG's natural evolution, once again in accordance with the genre's noblest tradition. Music-wise, the album is filled with twisted riffs, doom decelerations, rapacious vocals, and menacing atmospheres of Cosmic Horror, in a perfect equilibrium between the crypt-sounds of early Incantation and the dissonant, slanted death metal of early Morbid Angel, Demilich and Timeghoul. Among our rock/metal heroes of today, there's a guy from Rochester (NY), USA, considered by many a true genius: John Gallo. 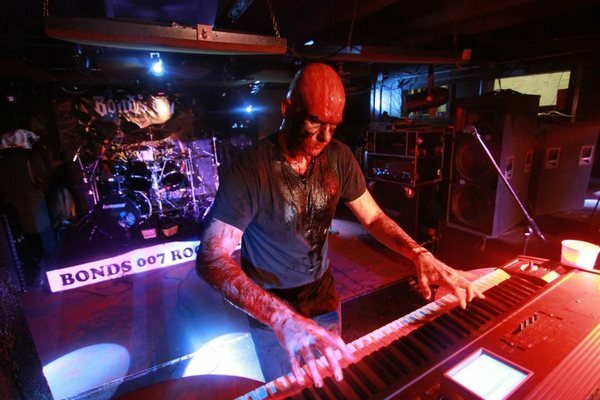 Known mainly as the founder of superb doomsters ORODRUIN and now-defunct black metallers CRUCIFIST, John Gallo has many alter egos and exciting musical incarnations, though BLIZARO is certainly the most adventurous and unpredictable of all! 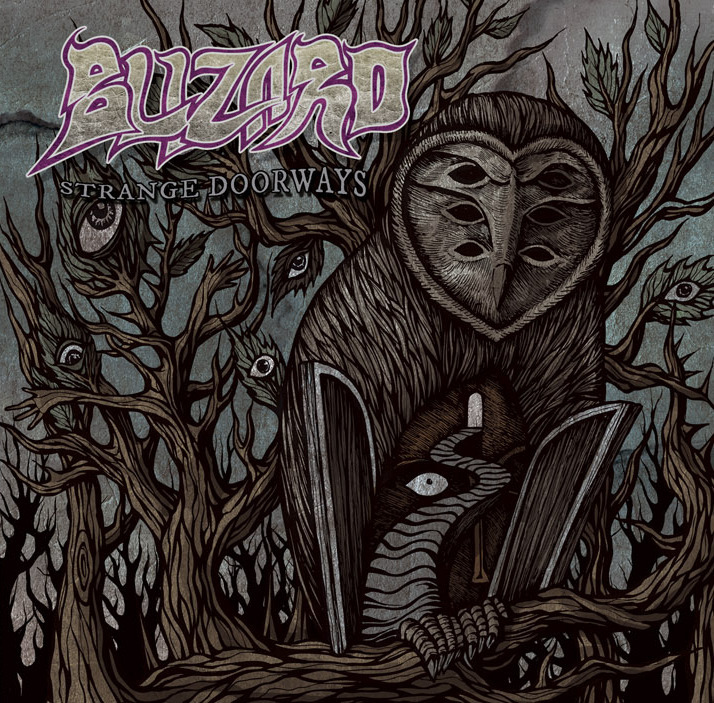 BLIZARO's songs are like dark portals leading to mysterious and macabre dimensions populated by mutants, ghosts, ghouls, and other unearthly presences. Like the Crypt Keeper from the infamous Tales From The Crypts comics, John Gallo tells us their stories of horror and madness using his own peculiar doom rock language, assisted by the unquestionable talents of Mike Waske (drums) and Mark Rapone (bass). Musically, the band shortens the distances between the American way of doom and the school of Paul Chain and Black Hole, at the same time combining the so called "dark sound" and the heavy-psych/prog rock styles of the Seventies with the frightening synth-driven soundtracks composed by Goblin and Fabio Frizzi for Italian horror movies like Suspiria and The Beyond. Next Autumn/Winter BLIZARO are going to release their highly-anticipated sophomore album, "Cornucopia della Morte" on CD, once again under the banner of the excellent horror metal label Razorback Recordings. A vinyl version shall follow next year on I, Voidhanger Records, but first we will celebrate BLIZARO's first decade of life by releasing a monumental 2-CD anthology that will offer a complete pan on the band's doom eccentricities. 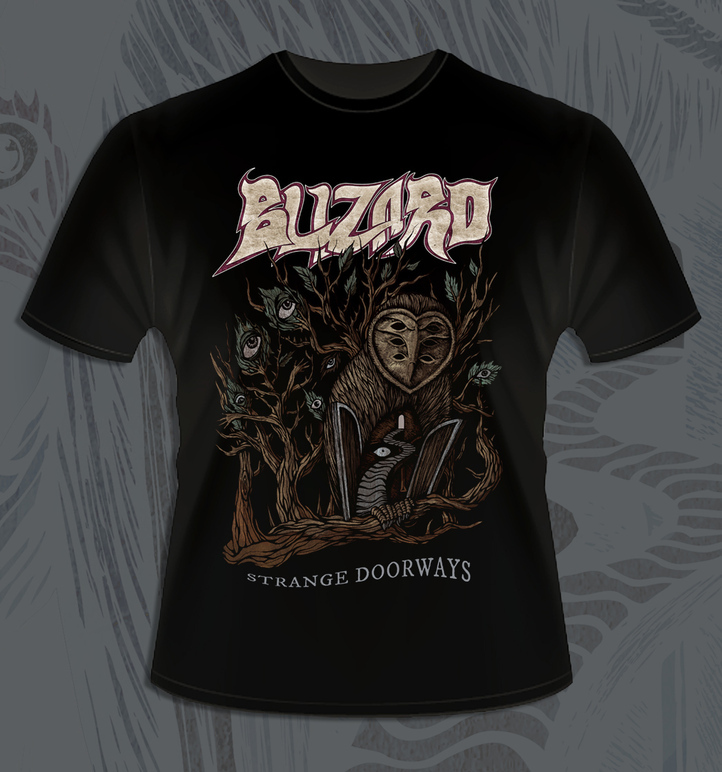 Aptly titled "Strange Doorways" and wrapped in the stunning, visionary artwork conceived by Costin Chioreanu, the box-set will feature all the BLIZARO demo recordings, as mind-blowing as their main releases: "Horror Rock" (2006), "Blue Tape" (2008, with a cameo from Peter Vicar of Reverend Bizarre fame! ), an expanded version of "The Old Wizard Of Winter" (2009), and the amazing "Blak Majicians" album (2012). Plus lots of rare, unreleased and never-heard-before tracks directly from John Gallo's vaults! The 2-CD release will come with a luxurious 20-page full-colour booklet featuring extra artwork by Costin Chioreanu (who has drawn new covers for each demo! ), rare band photos, plentiful liner notes by John Brenner of REVELATION, and track-by-track commentaries provided by John Gallo himself! Below, a taste of BLIZARO for you all: "Voyage Beyond Space" is an heavy number off the "Blak Majicians" recording, while the unreleased track "Beyond Mystery" is a clear homage to Paul Chain's violet art of doom shattered by John Gallo's virtuoso guitar playing. Enjoy! 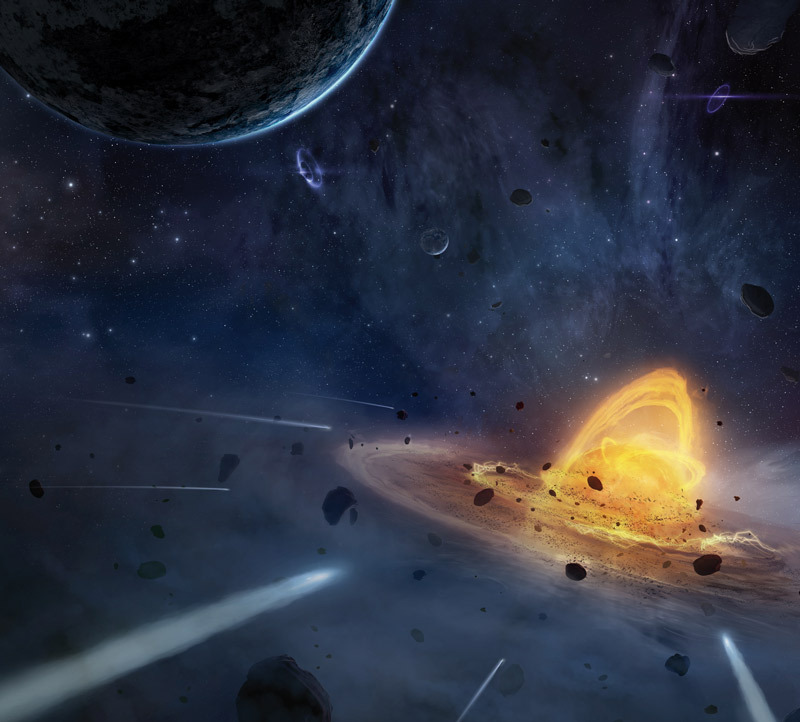 "We are dealing with the dark depths of the cosmos here, the brief for both acts clearly to describe a journey through the blackest galactic voids – a realm bereft of humanity, graced only by the macroscopic machinations of the primordial elements of the universe." "Overall, 'Sol' is a very powerful and effective release. Both bands showcase their skills with monolithic tracks that never seem to get dull or old. 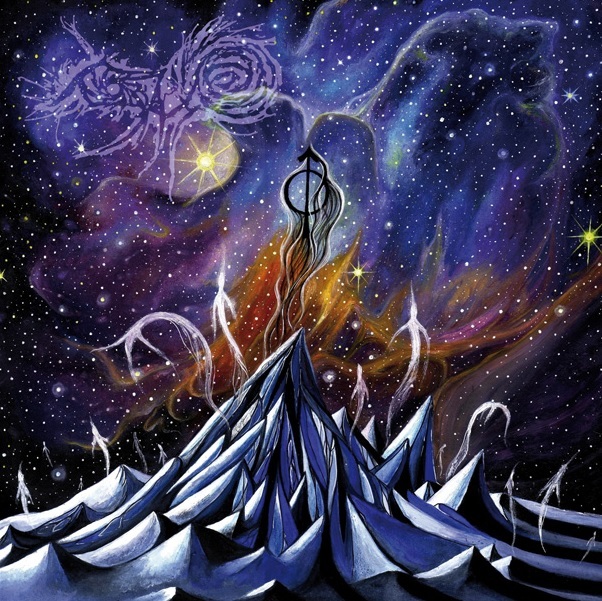 If you like intelligent Atmospheric Black Metal, look no further and check this one out." "...a three-track flight through black metal asteroid fields and the endless void that spreads maddening and infinite in their wake." "...one of those rare splits that is worth your money for the amount of music contained and is the perfect fit where both acts are inherently linked by sound and concept as well as brilliant at delivering both." "...truly epic beautiful and depressive and trust me when I say that this record is an hour well and truly well spent!" If you want to know more about I, VOIDHANGER RECORDS and our next releases and projects, read this interview done with Damned By Light webzine. 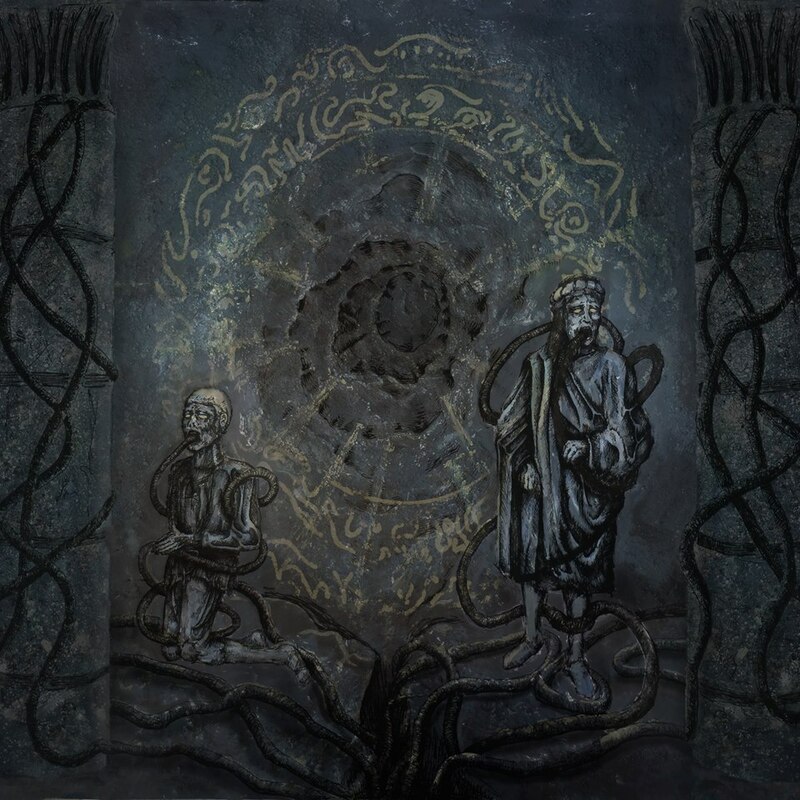 Embark on a 70-minute cosmic black metal journey with SPETRAL LORE and MARE COGNITUM! "Sol" is available as a noble 4-panel digipack with an 8-page full-colour booklet containing all lyrics and Josef Barton's amazing spacey art. Check the release page for songs' excerpts and reviews. For your listening pleasure, here's a pre-production track from MOSAIC's upcoming debut full-length "...Of The Fallen One", to be released later this year. The song is called "Salt And Rain", check it at Soundcloud. MOSAIC is Inkantator Kovra (Alchemyst, Seremoni), here supported by Leshiyas on drums. Thanks to all those who bought the YSENGRIN and ÆVANGELIST vinyls so far, all the orders have been shipped! Out now: ÆVANGELIST "Nightmare Flesh Offering" EP 7"
ÆVANGELIST's latest release is a 7" EP on black vinyl, strictly limited to 250 copies and never to be repressed. Comes housed in a luxurious gatefold sleeve with Seeming Watcher's artwork, shown above in all its terrifying splendour. 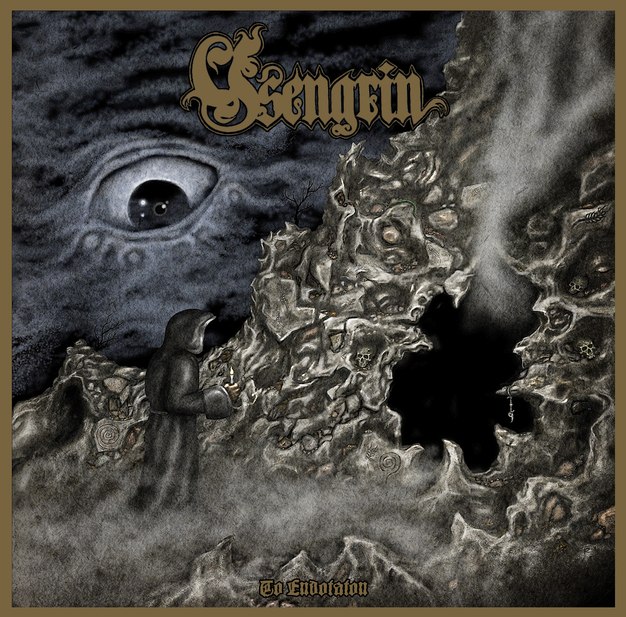 YSENGRIN's most brilliant jewel is finally available on black vinyl, limited to 100 copies only! Comes with a beatiful A3 poster, with new art on one side and lyrics on the other side. Specifically mastered for vinyl by Daniel Lowndes at Resonance Studio, UK. 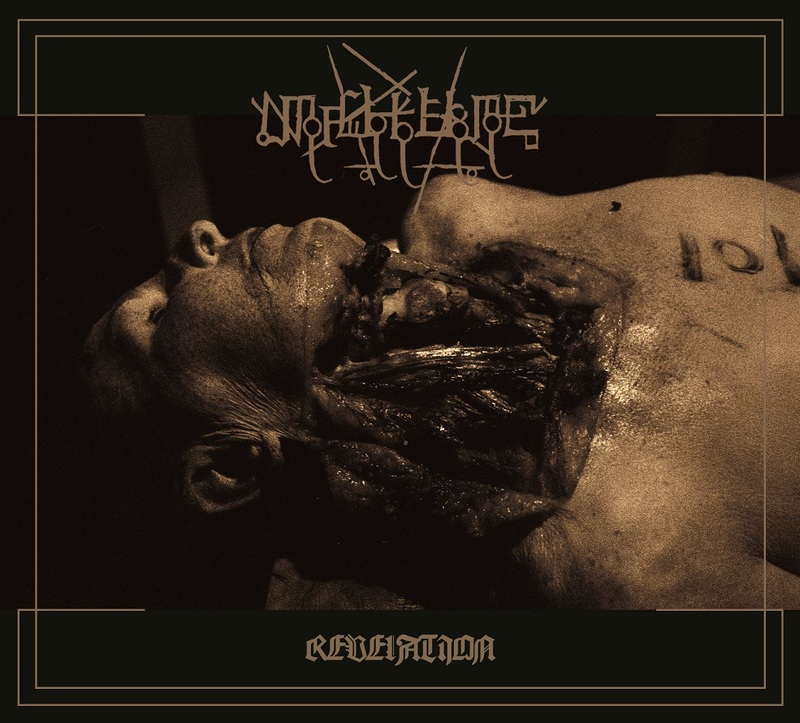 "...a sprawling, single track of an album with a sound that has been billed as 'hermetic dark metal', but in real terms is a more technical cross between early Paradise Lost, Disembowelment, the occult edge of Death SS, and early Rotting Christ. There is so much to admire..."
"A slow to mid-paced heavy metal backbone is complemented by half-muffled growls that add a certain wretched quality to the music, which is, in essence, very melodic, exercising captivating waves of simple riffs coupled with minimal keyboard work and sparse acoustic guitar interludes to which the aforementioned death-like deep vocals add another dimension of mystical left-hand practice." "...the Frenchmen also incorporate variation in the form of pure old school death and black metal breaks, not to mention some wicked, straight heavy/doom riffs that erupt into sheer headbanging pleasure. Beyond that, there are beautiful passages of classically-inflected clean guitars, backing synthesizers and organs set up sparsely at just the right joints in the album's framework to intensify its exotic, morbid and soul sucking affectations (...) A spellbinding, atmospheric success for I, Voidhanger." "Sol" will be available as a noble 4-panel digipack, with a 8-page booklet complete with lyrics. You can listen to a 10-minute excerpt of "Sol Medius" at SPECTRAL LORE's Bandcamp page. The "Nightmare Flesh Offering" 7" will come in a gatefold sleeve with expanded inside artwork. Strictly limited to 250 copies. Out in late June/early July 2013.